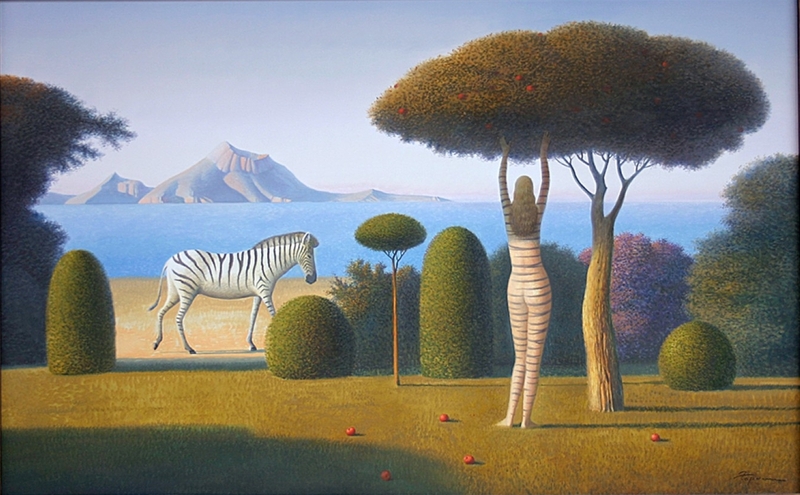 Евгений Гордиец is a Russian* trained contemporary surrealist phenomenon. 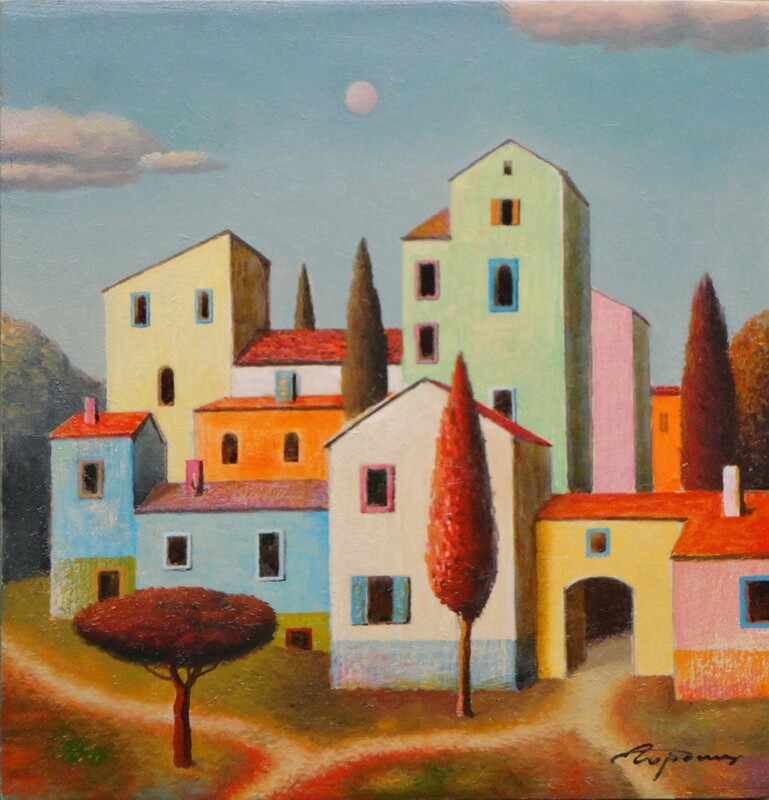 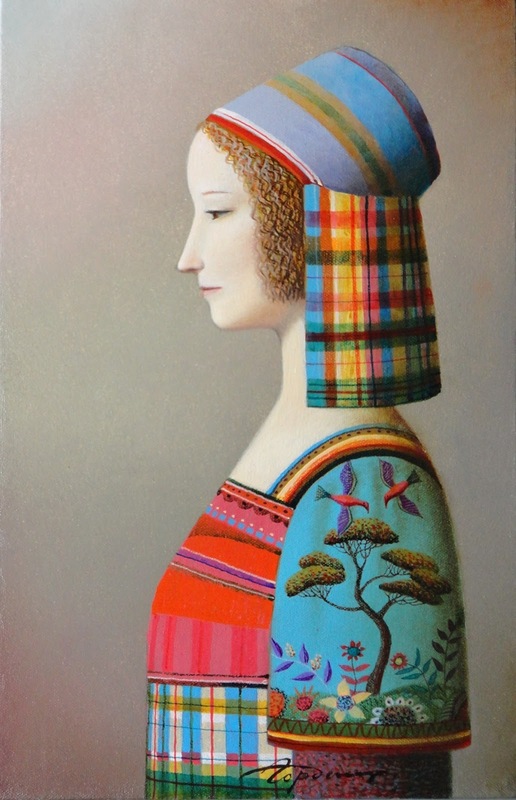 Scouted at the age of five as a child prodigy, Evgeni attended the National School of Fine Arts: received his Masters Degree from the State University of Fine Arts and his Ph.D. from the State Academy of Fine Art, all in Kiev, Ukraine. 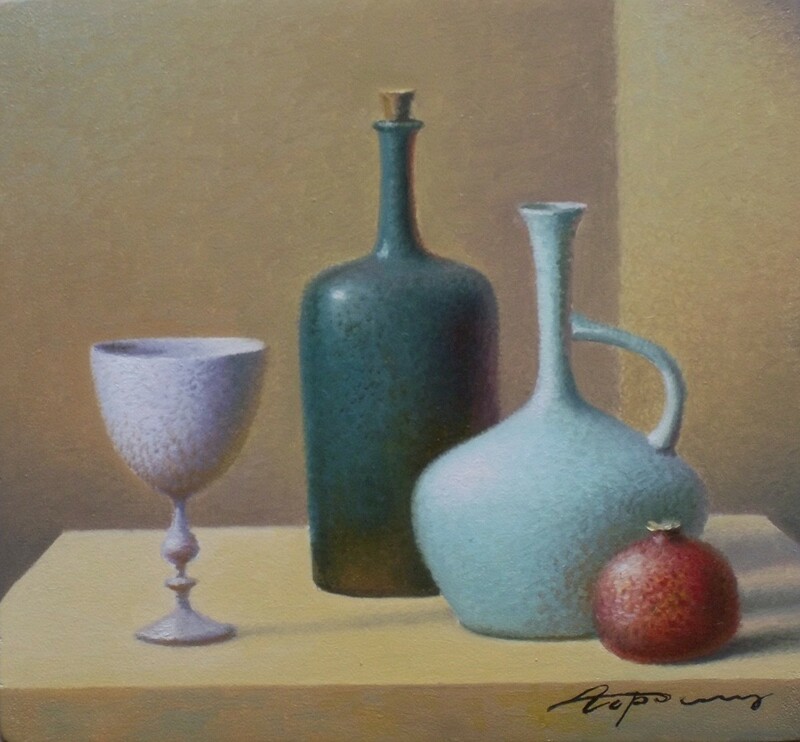 After concluding his studies, he joined the National Art University as a Professor of Art. 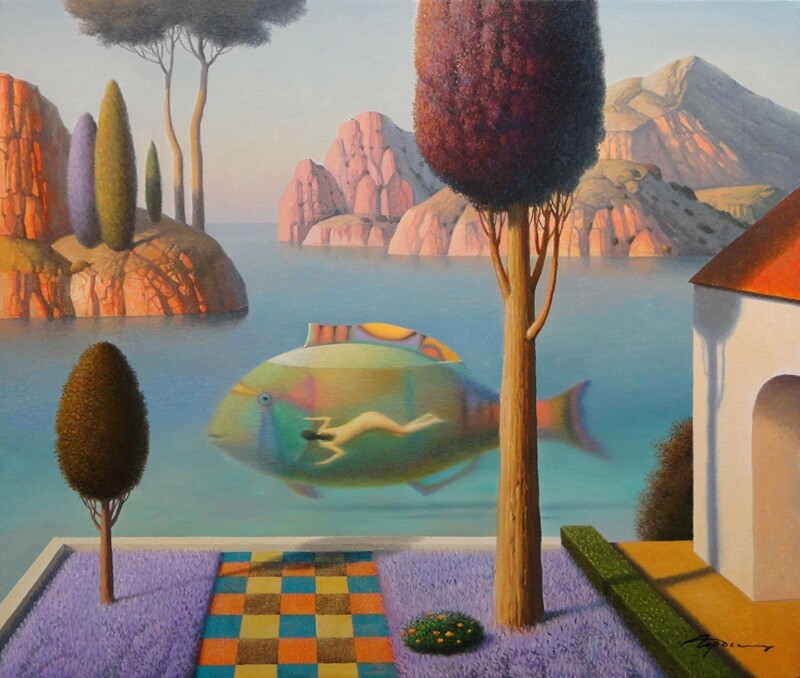 His award-winning* work has gained widespread recognition and is held in museum and private collections worldwide. 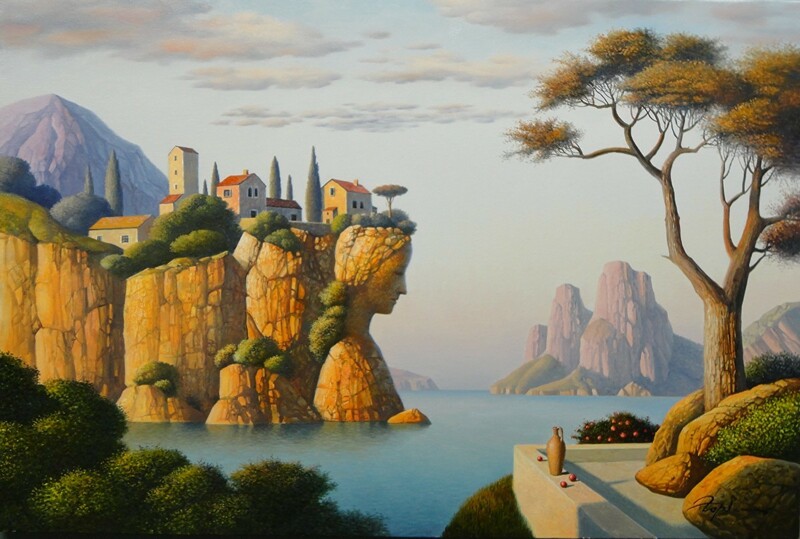 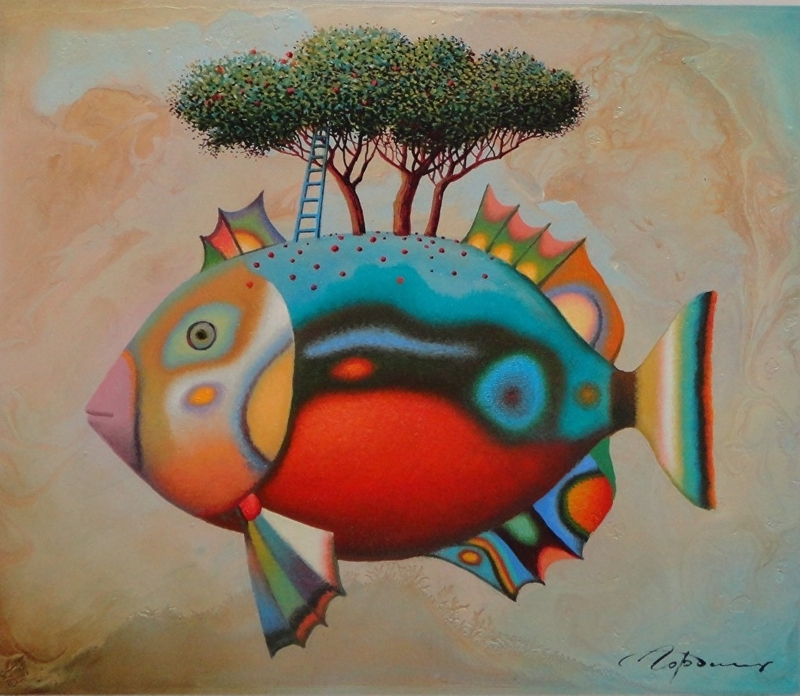 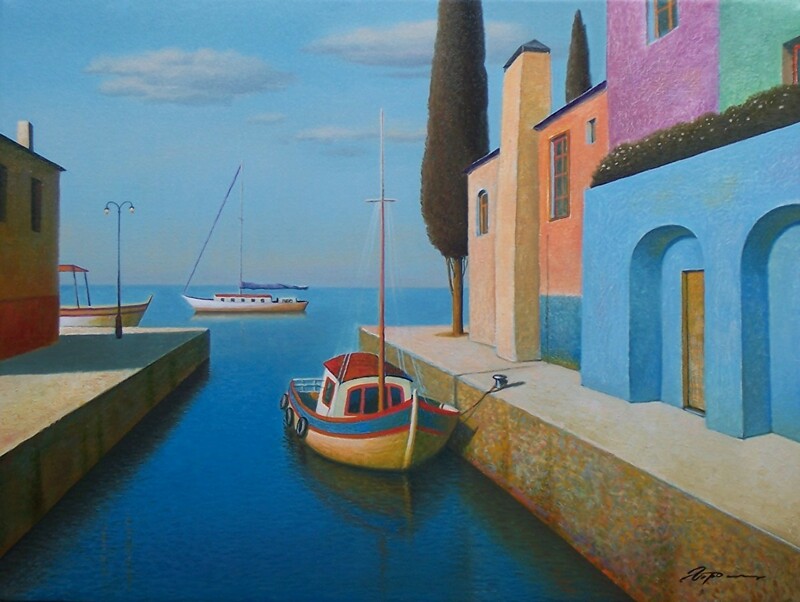 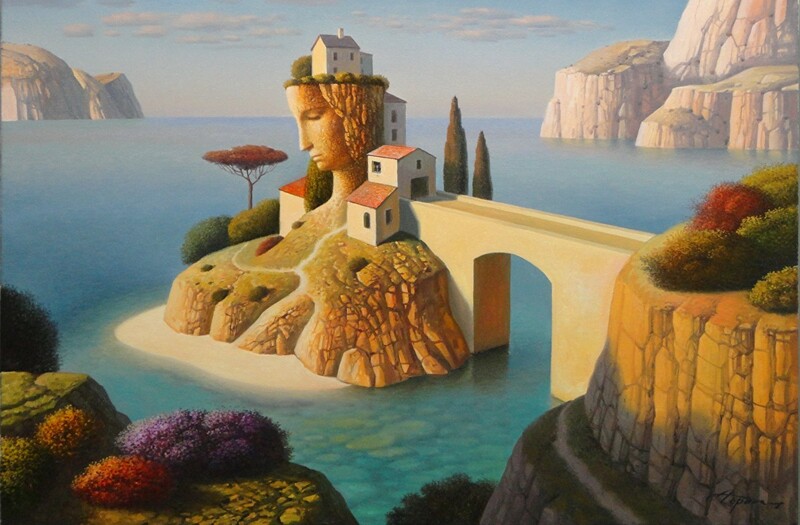 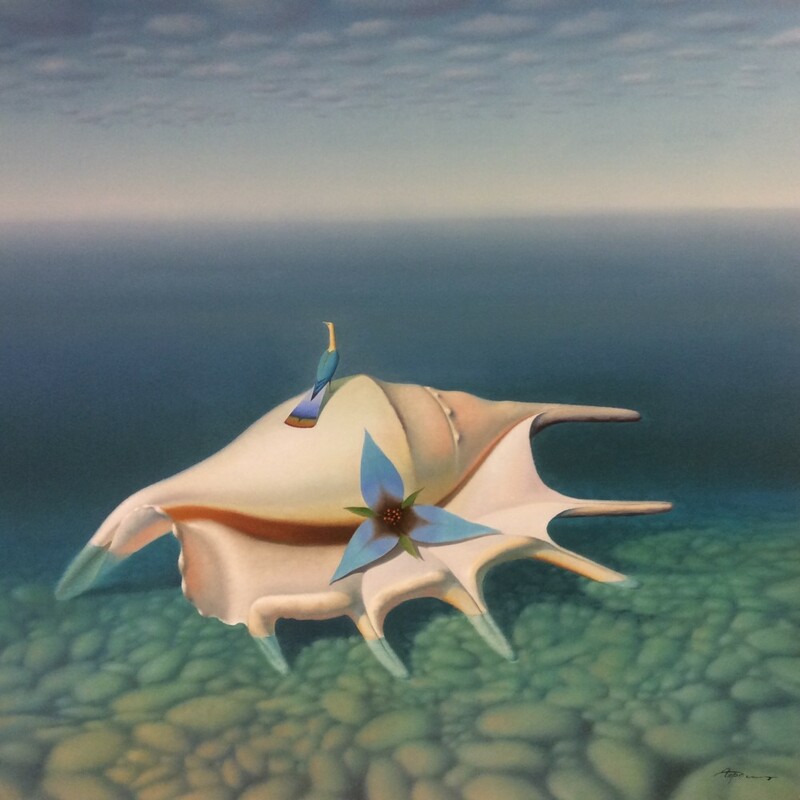 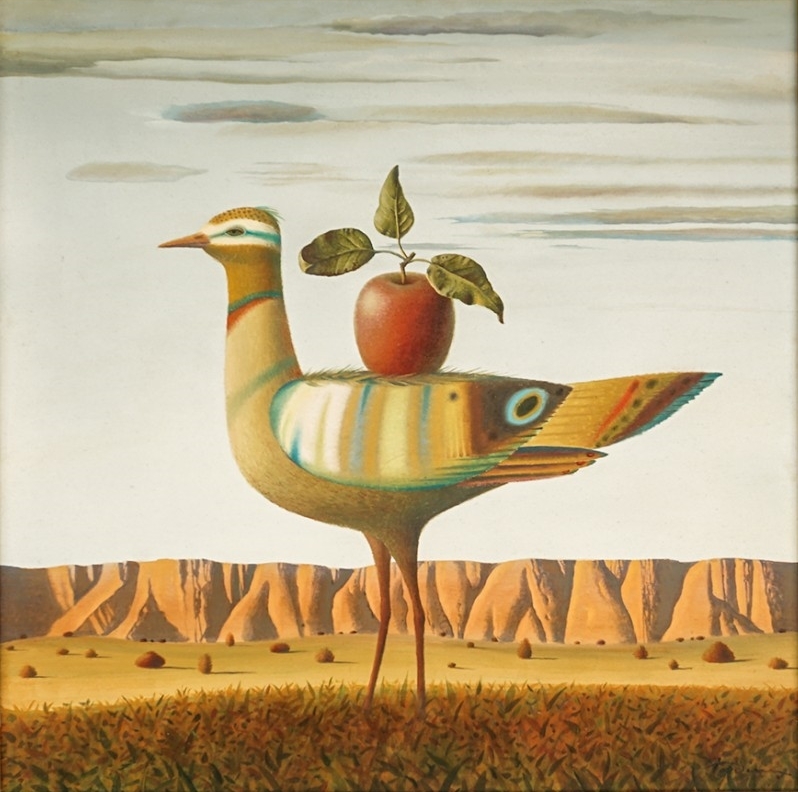 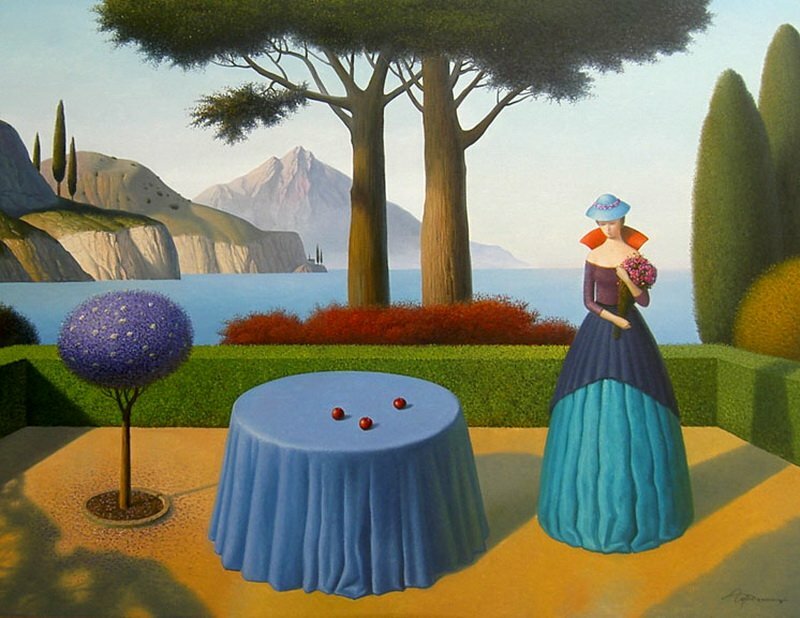 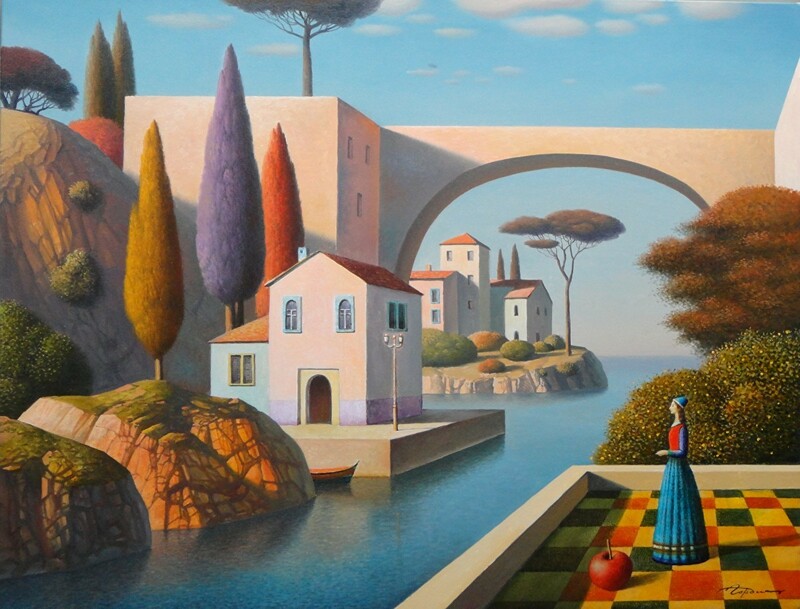 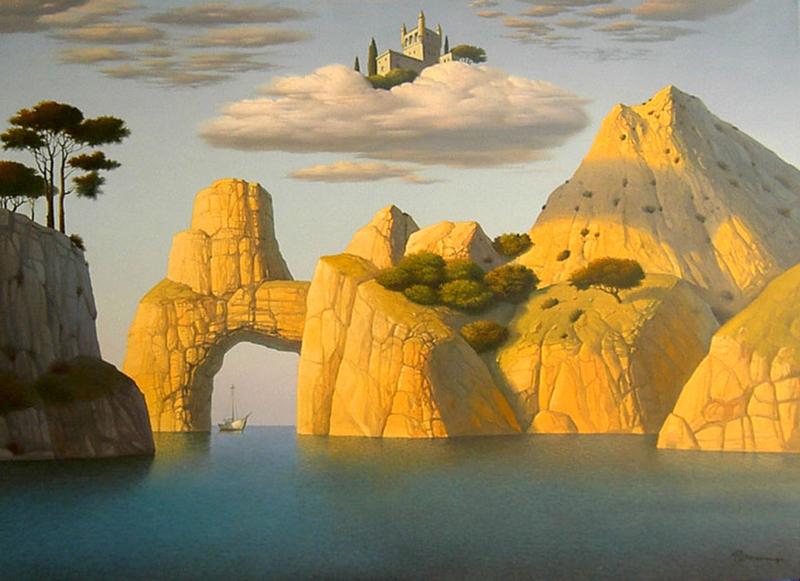 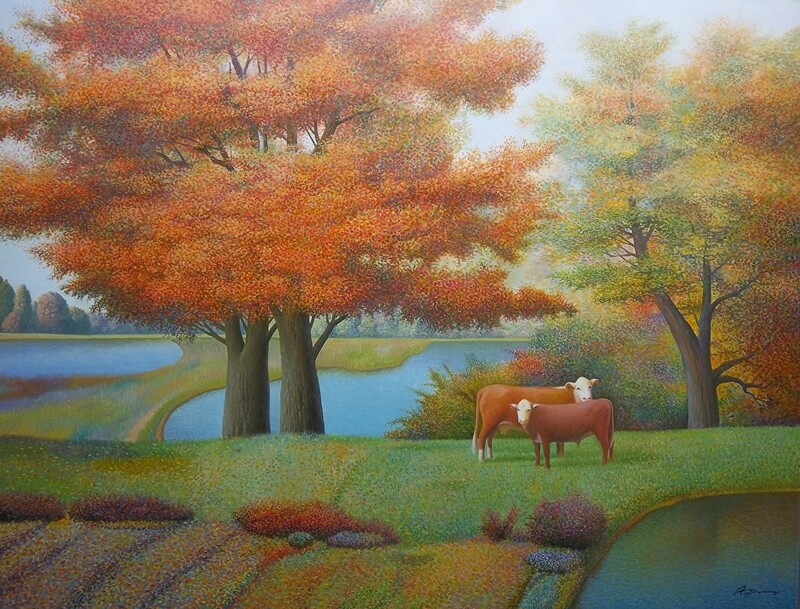 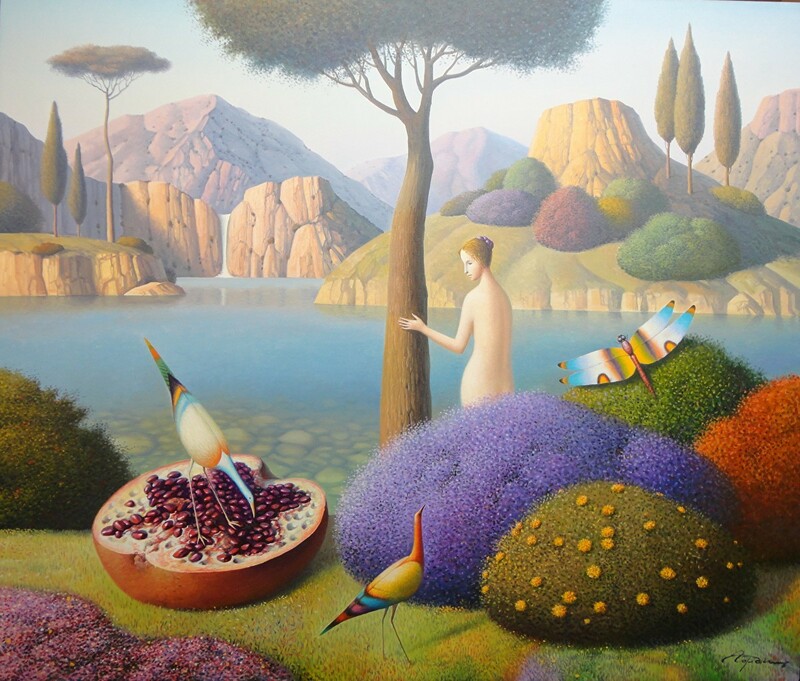 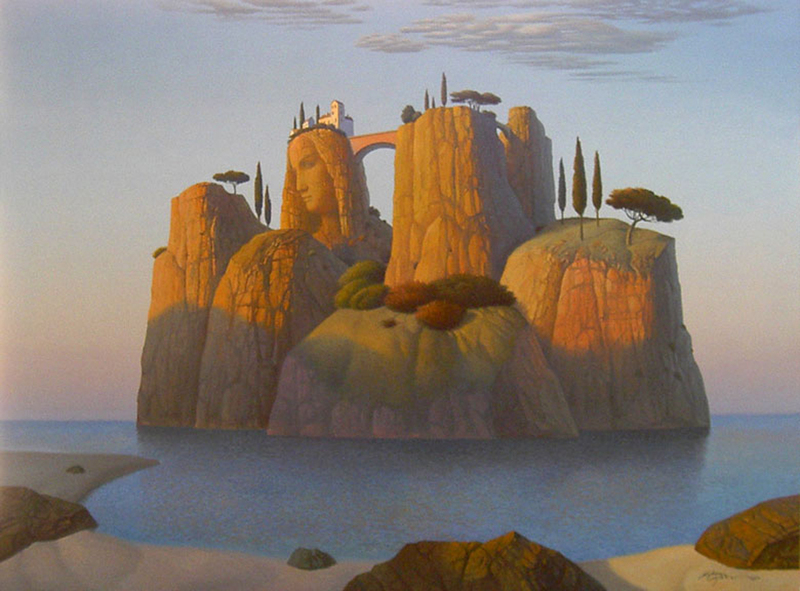 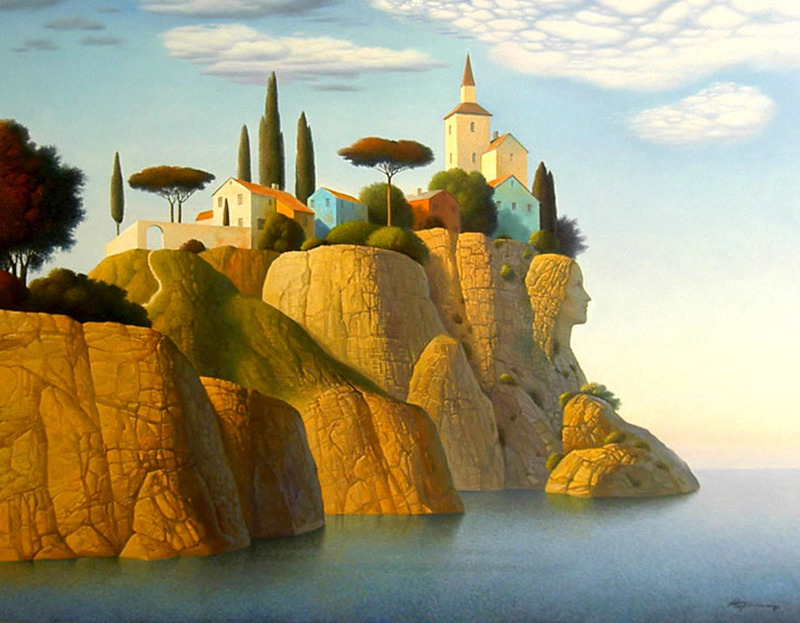 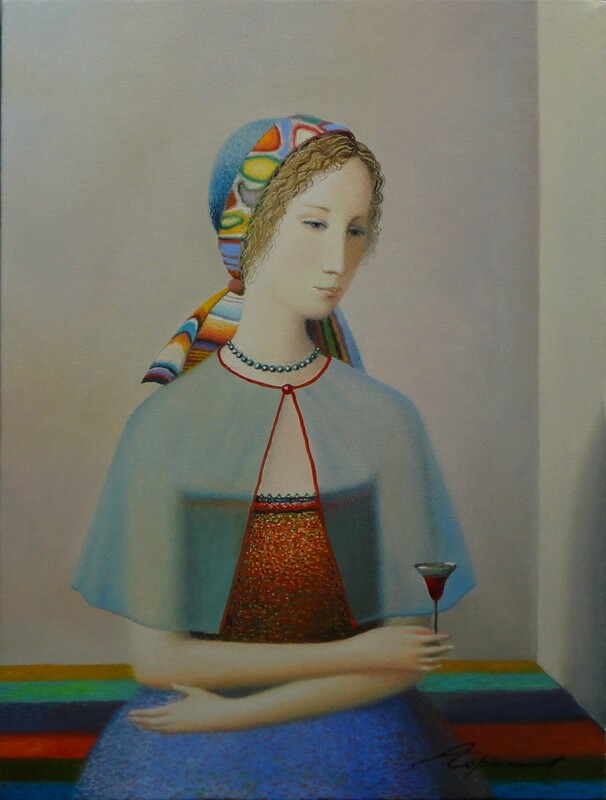 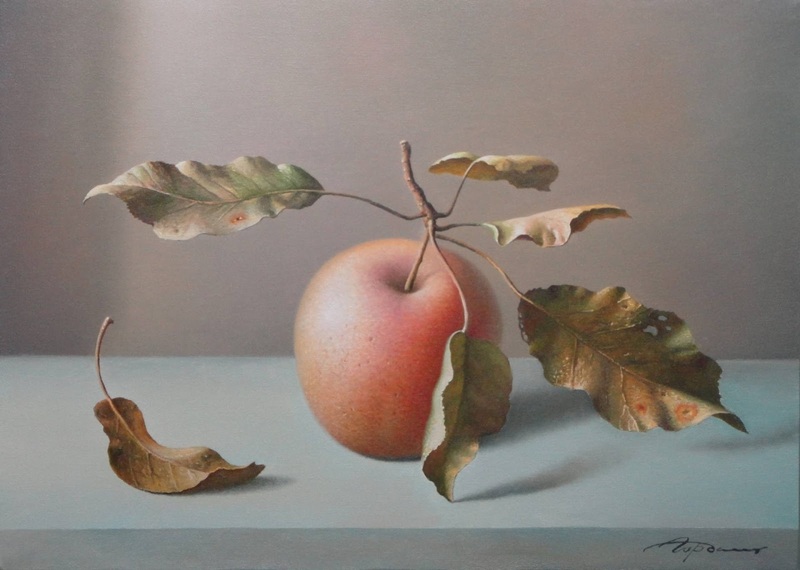 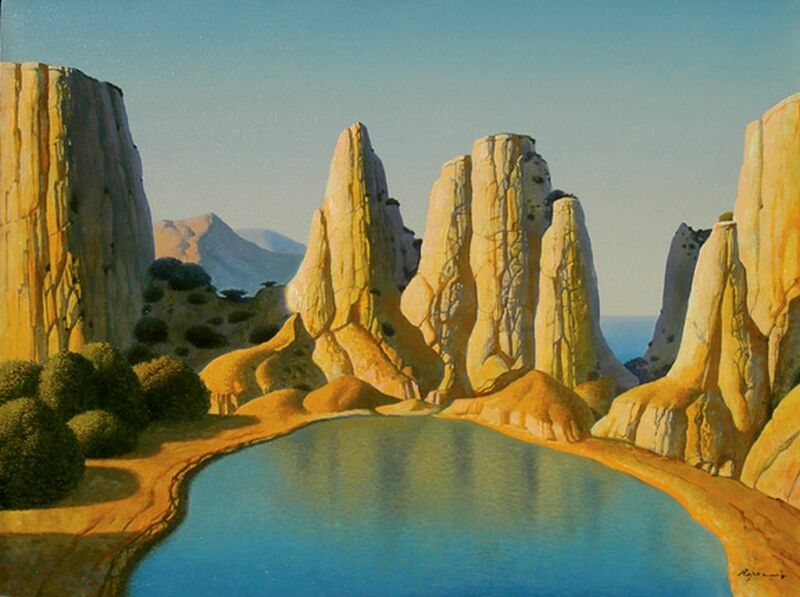 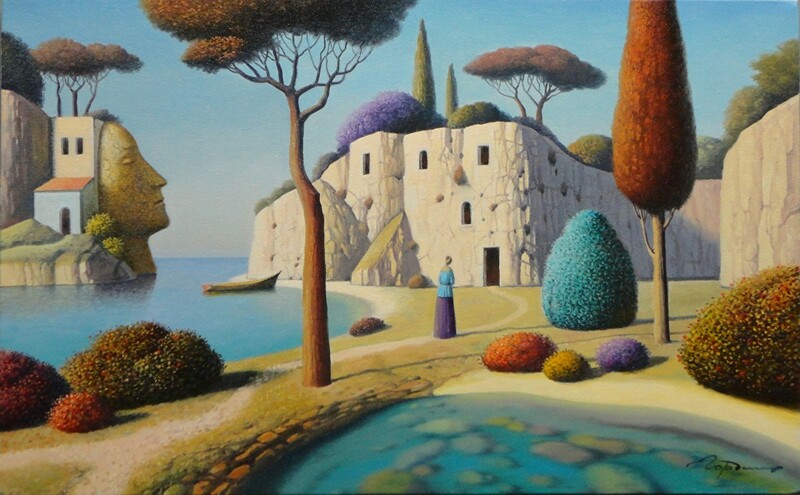 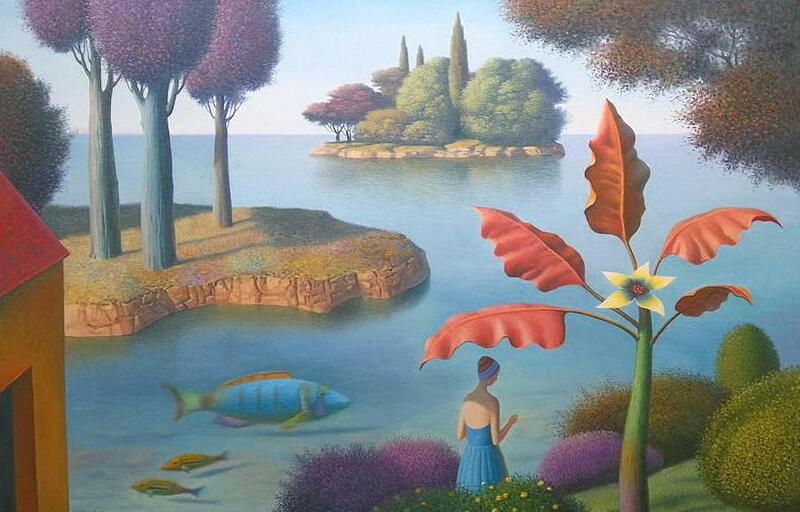 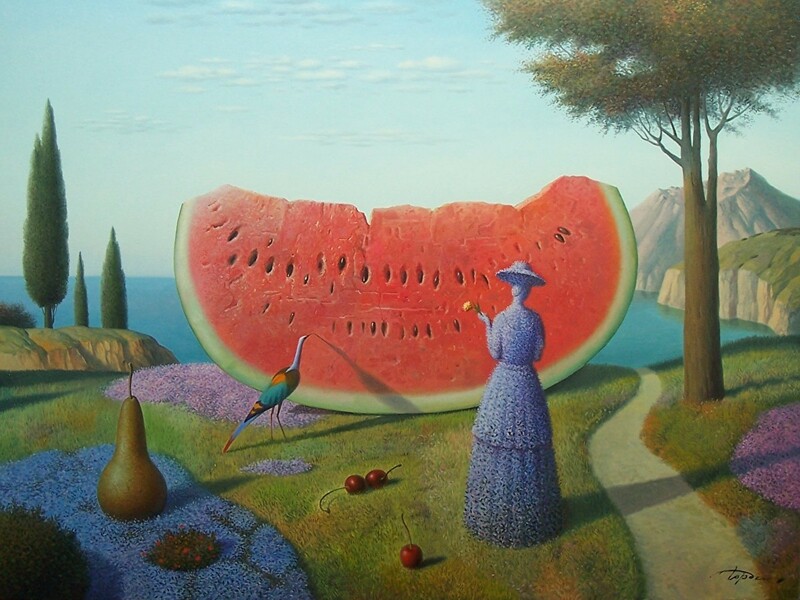 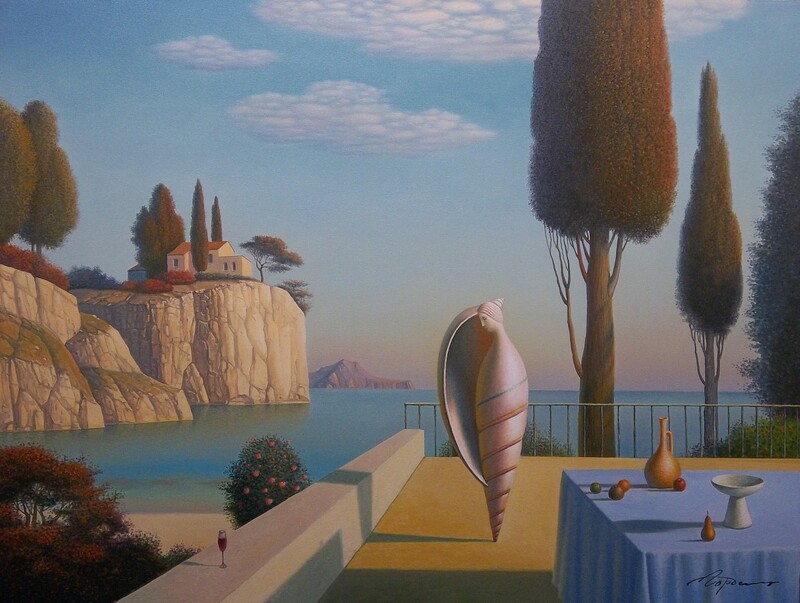 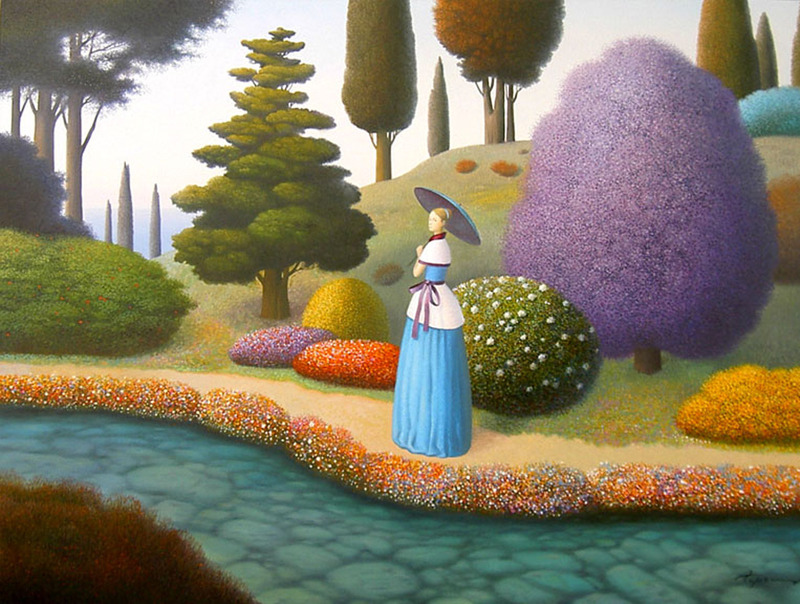 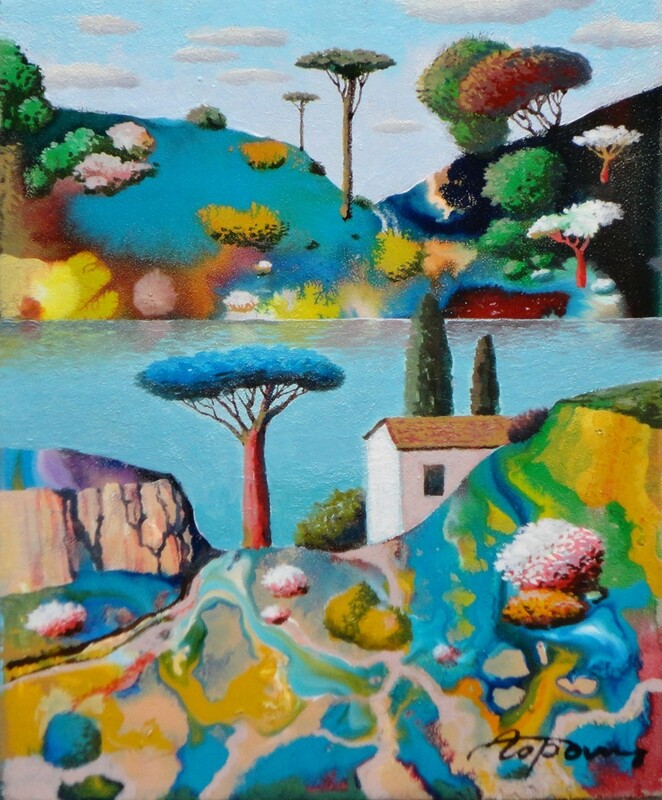 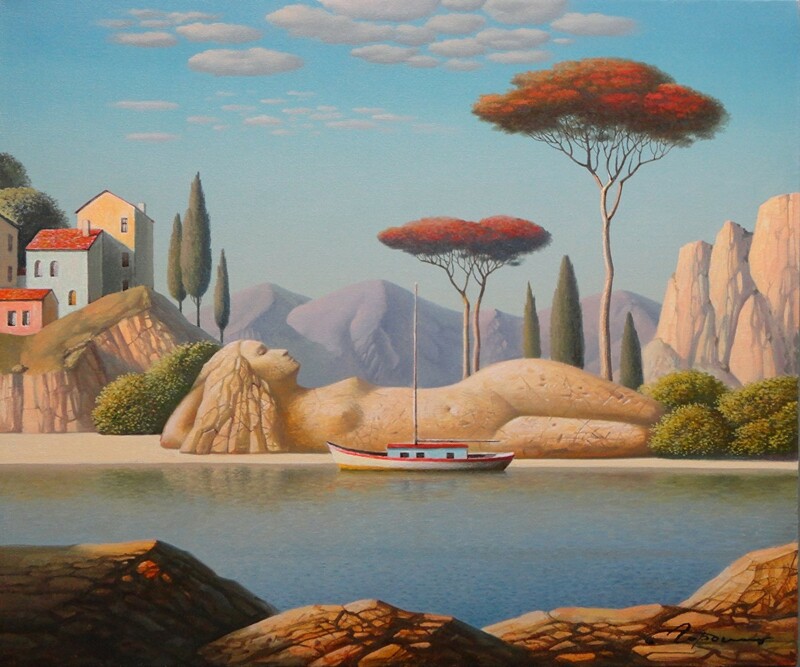 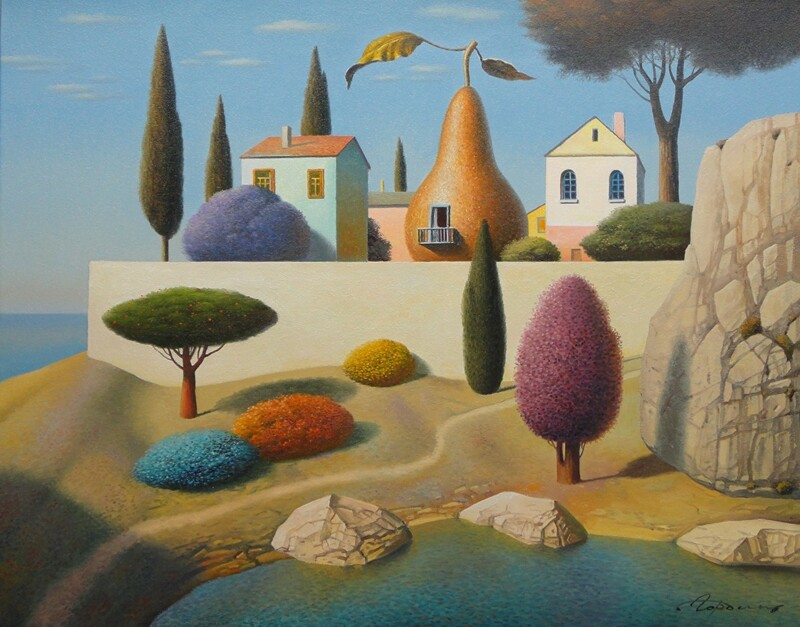 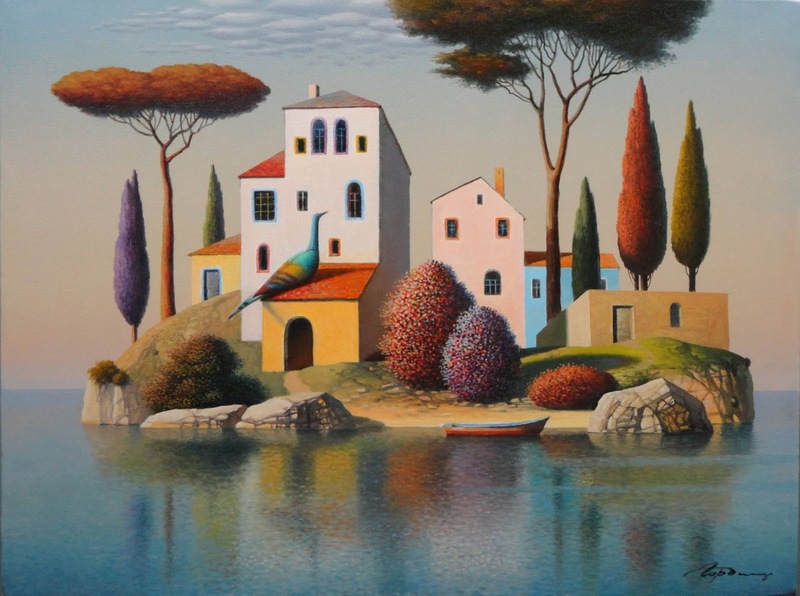 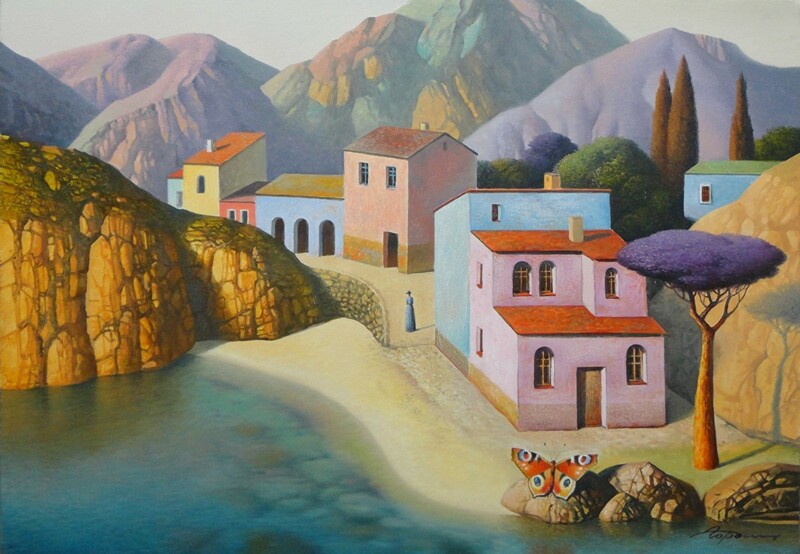 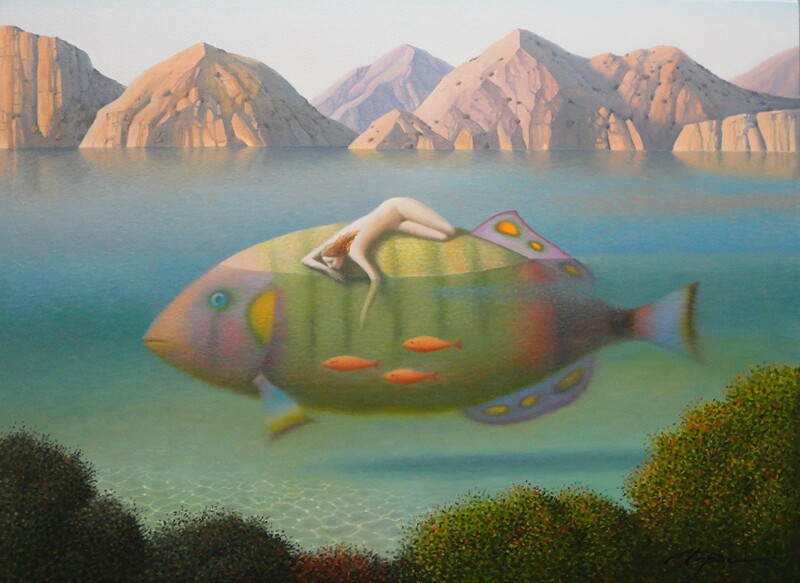 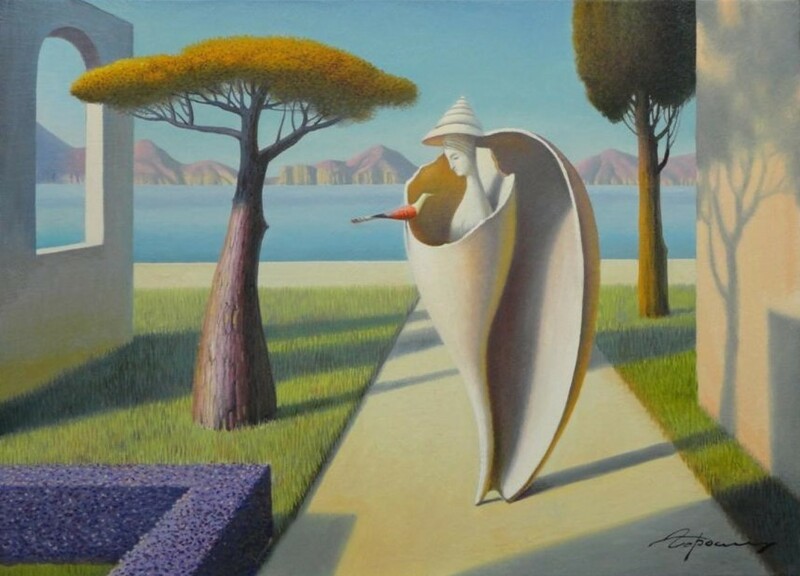 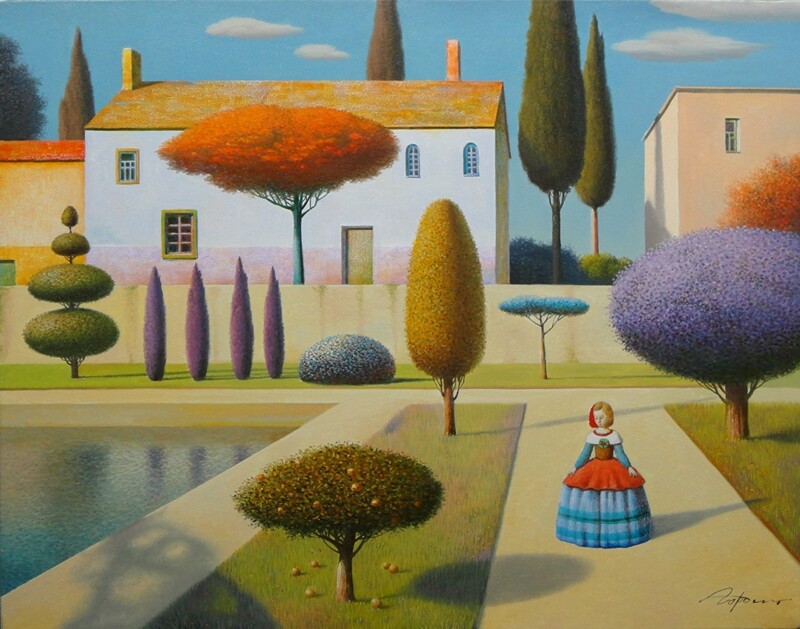 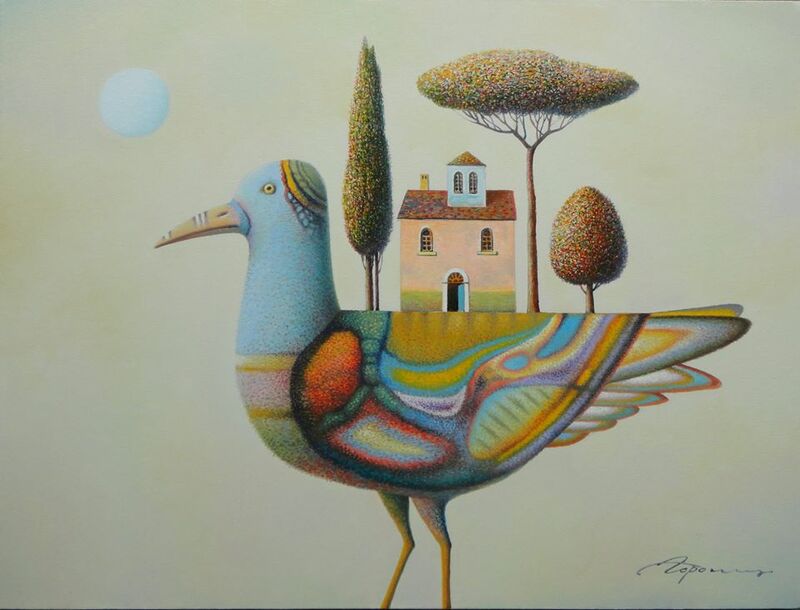 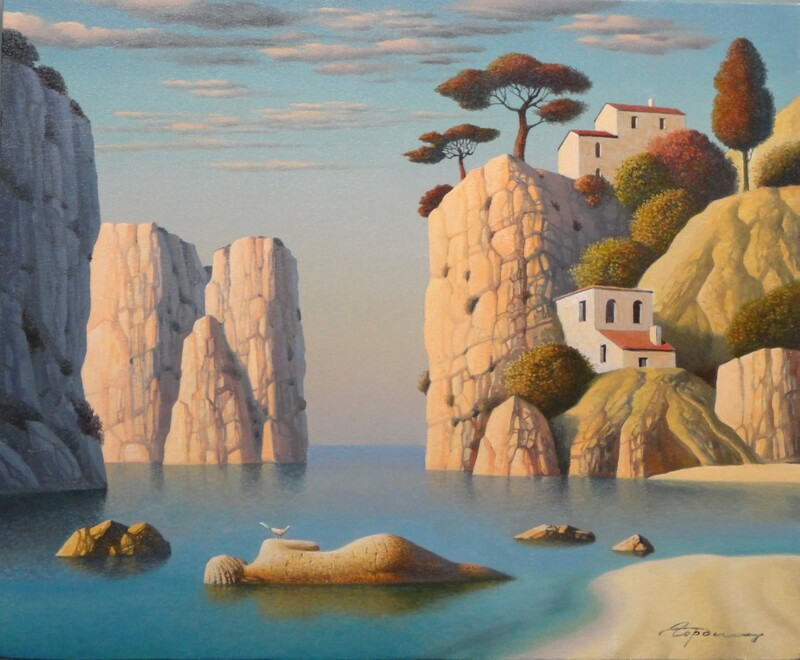 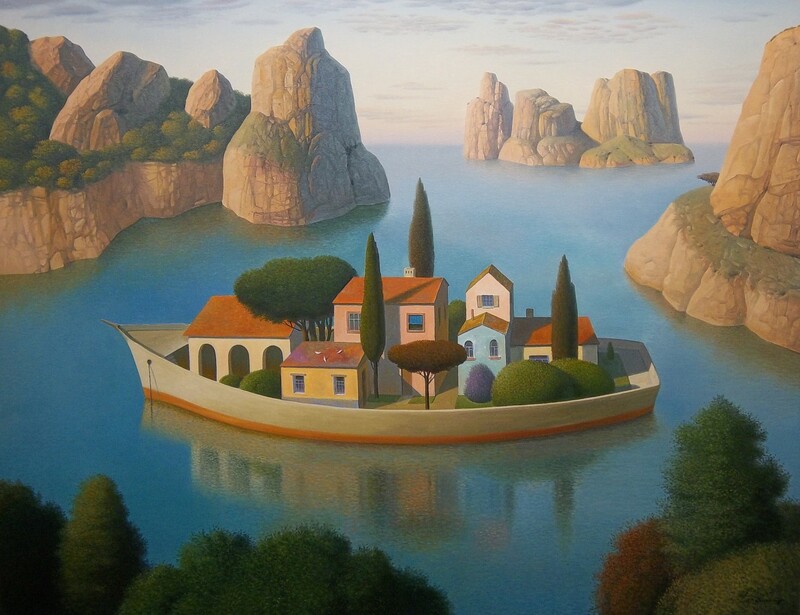 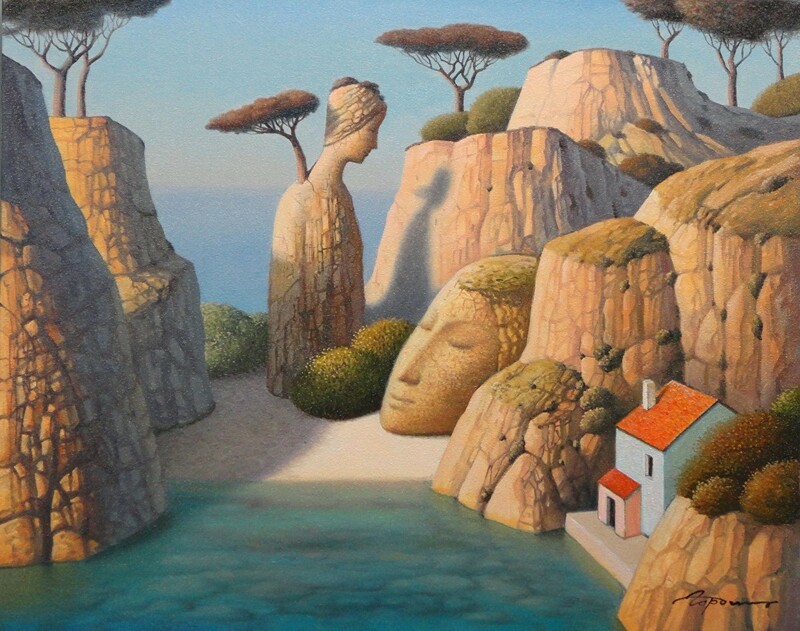 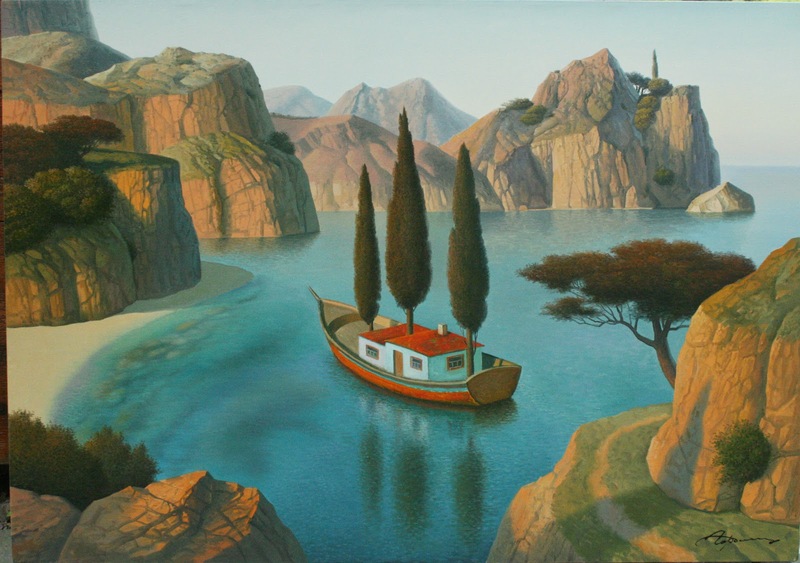 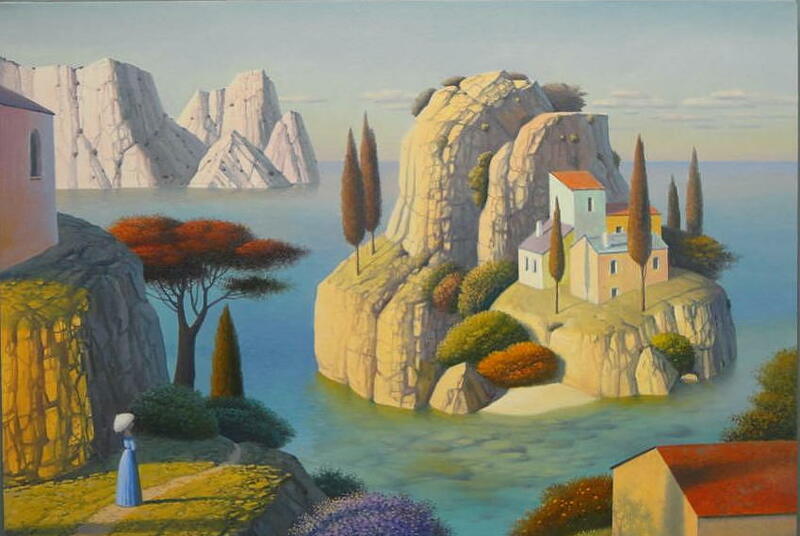 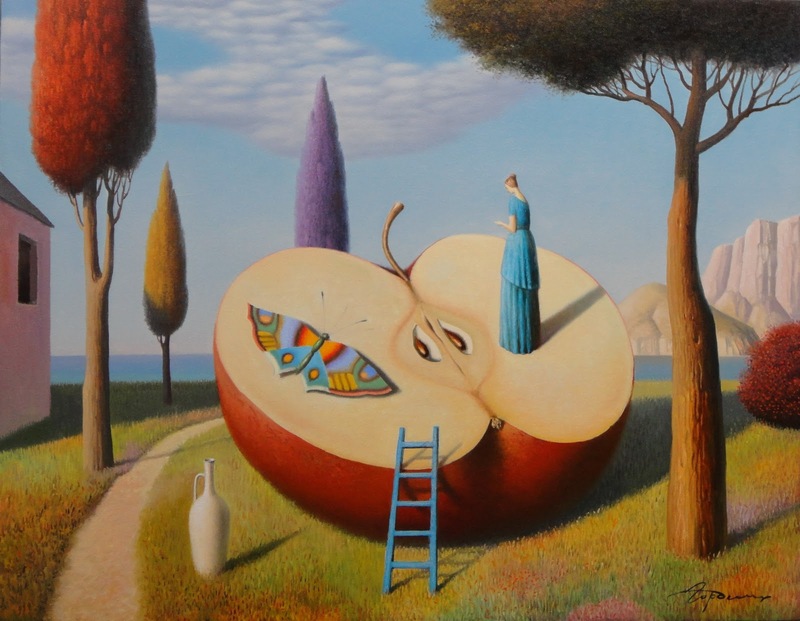 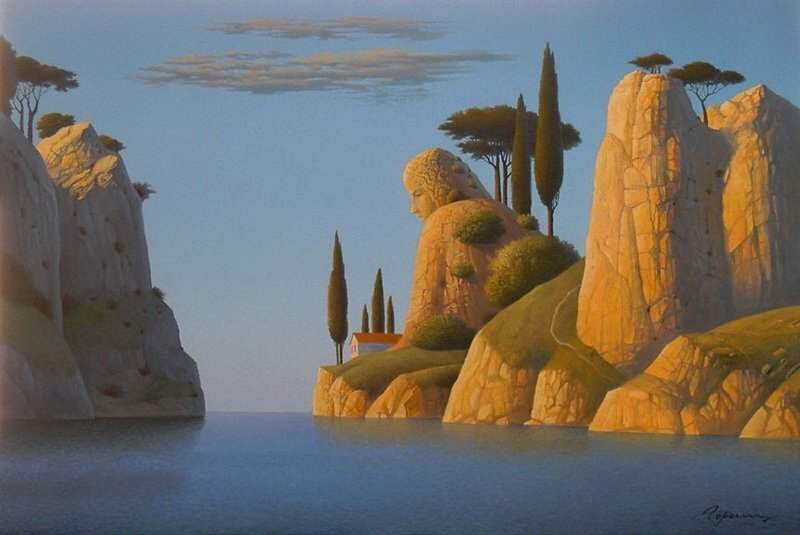 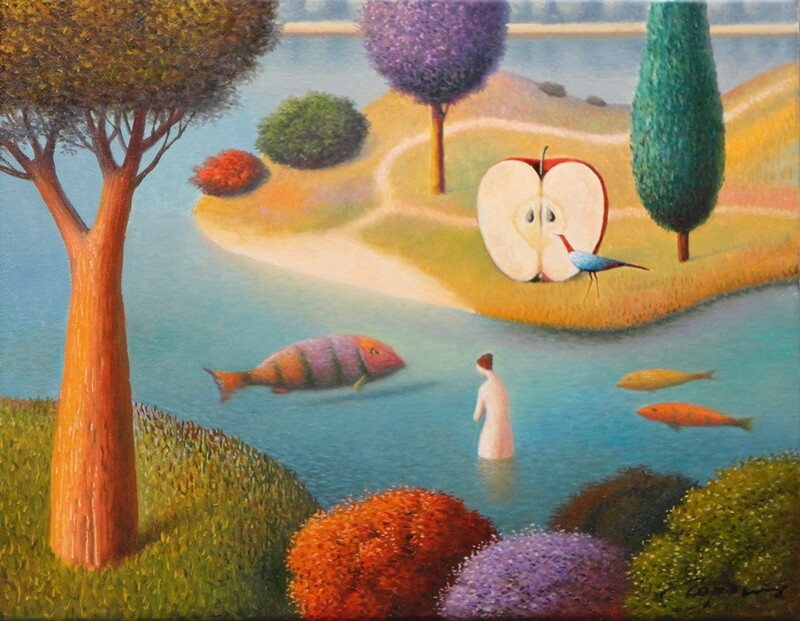 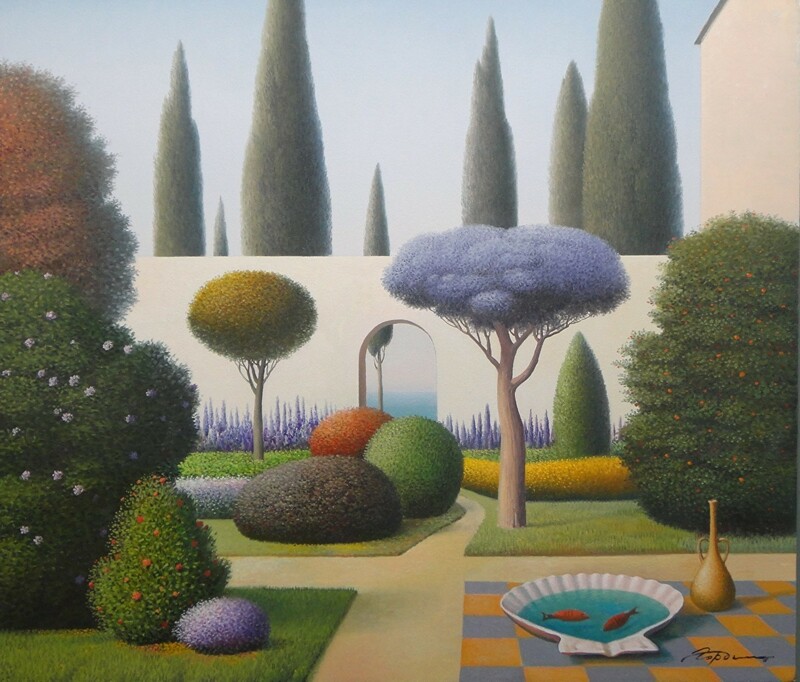 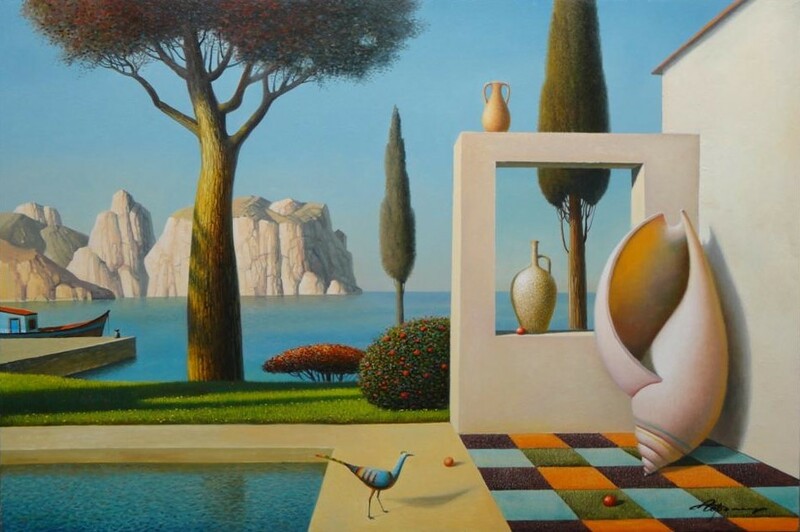 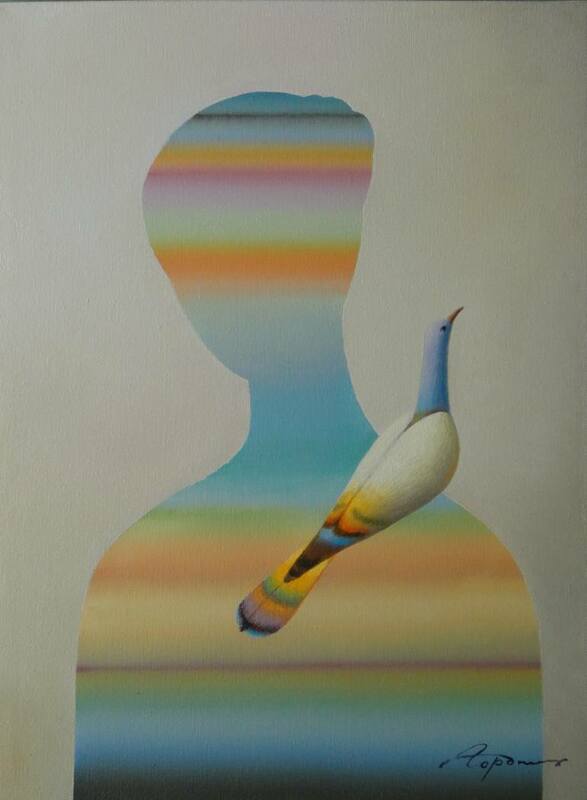 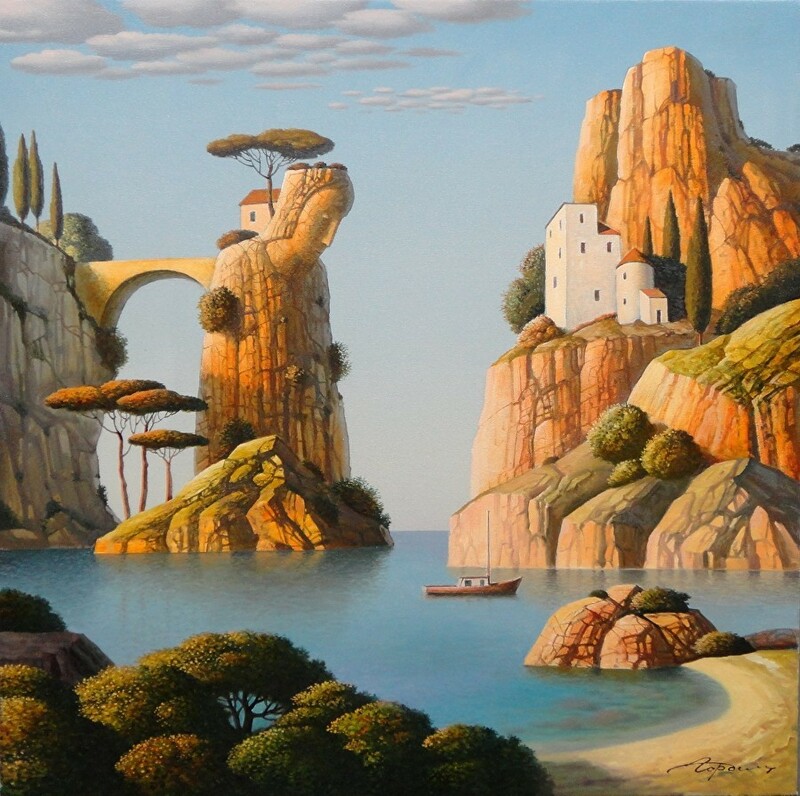 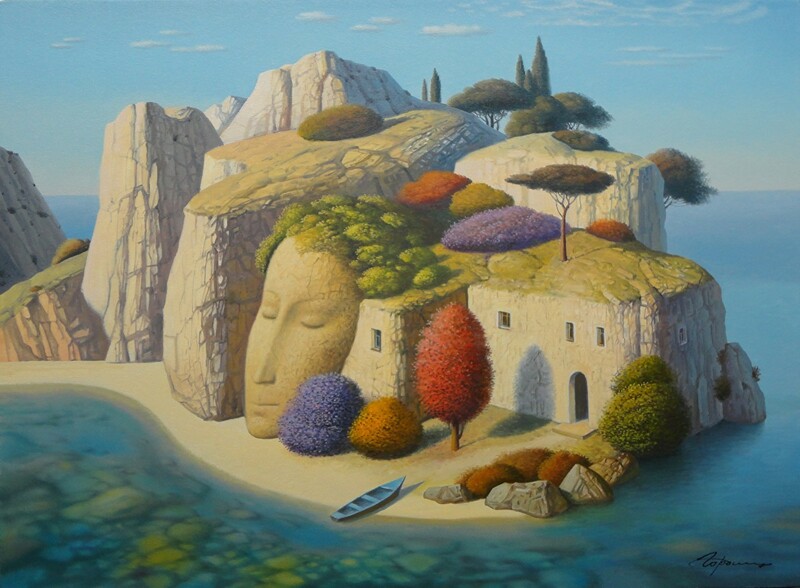 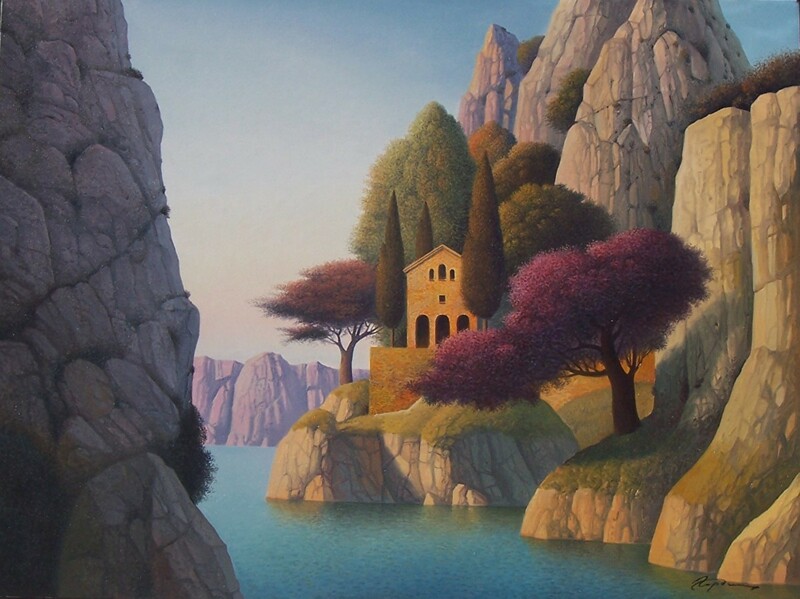 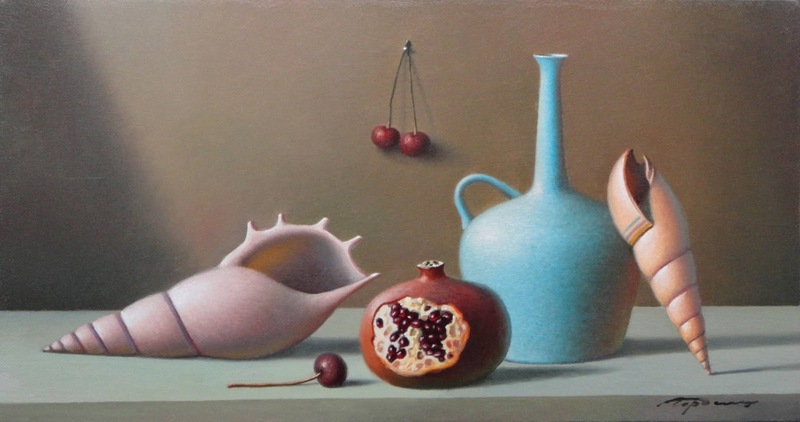 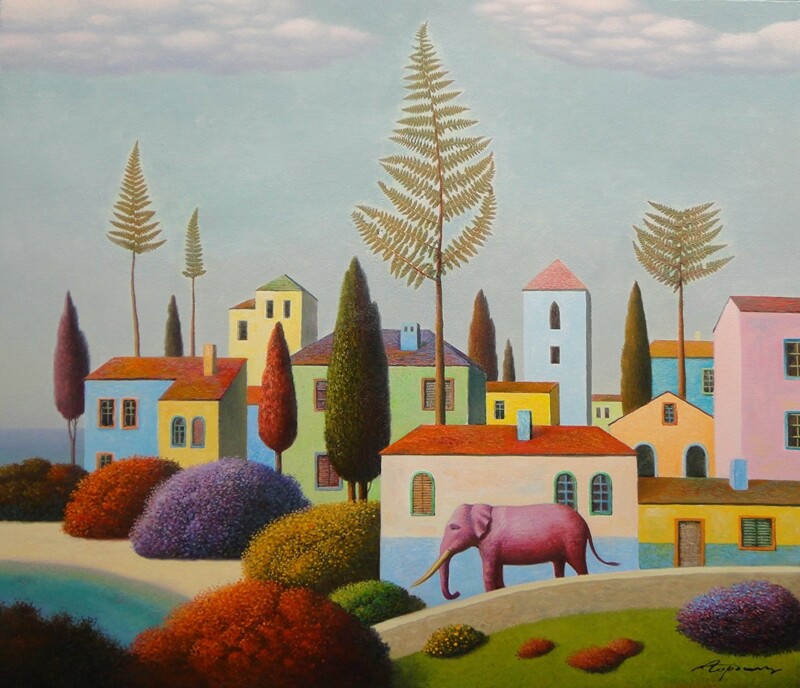 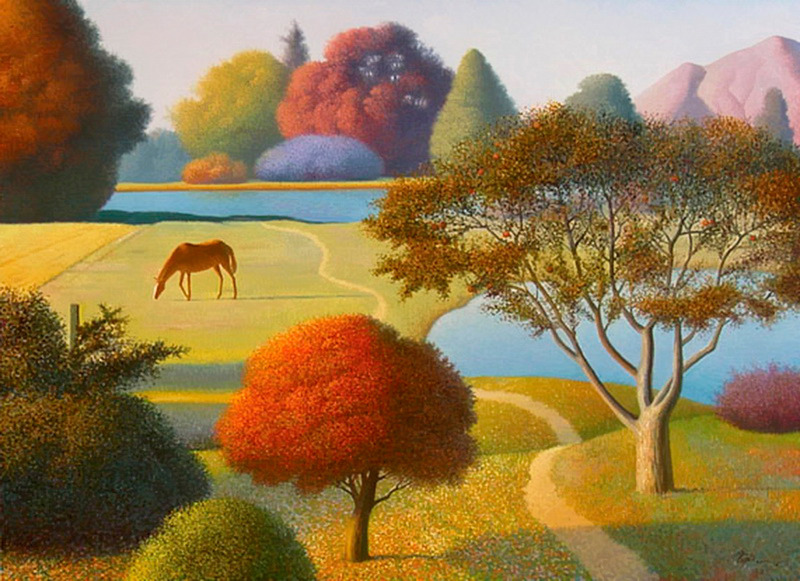 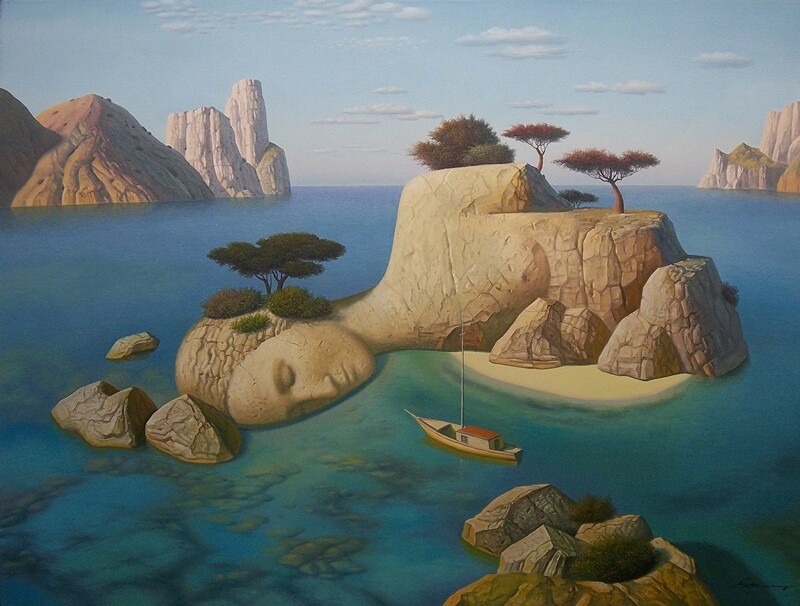 Mr. Gordiets was honored by his peers in Kiev, where from 1977 through 1986 he received accolades, awards* and grants ranging from the first prize in United Nations exhibitions to the Top Artist Achievement Award* of the Ukraine. 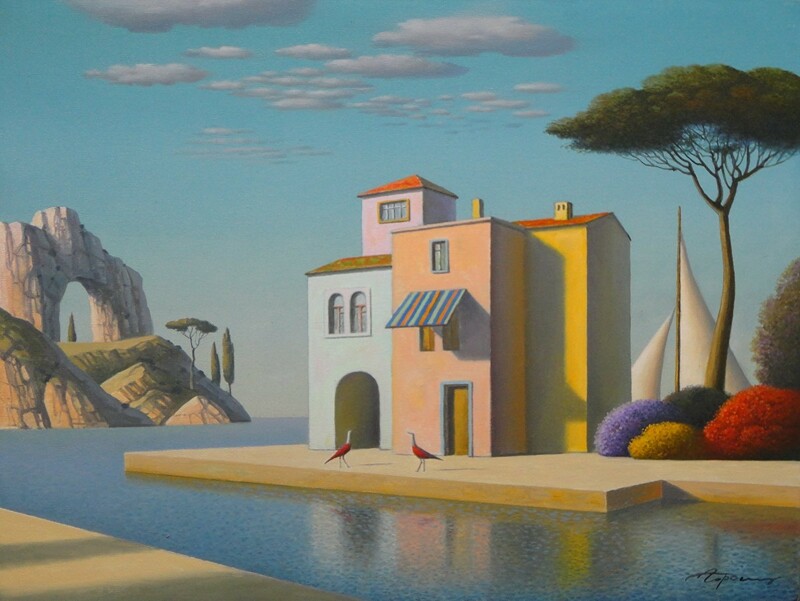 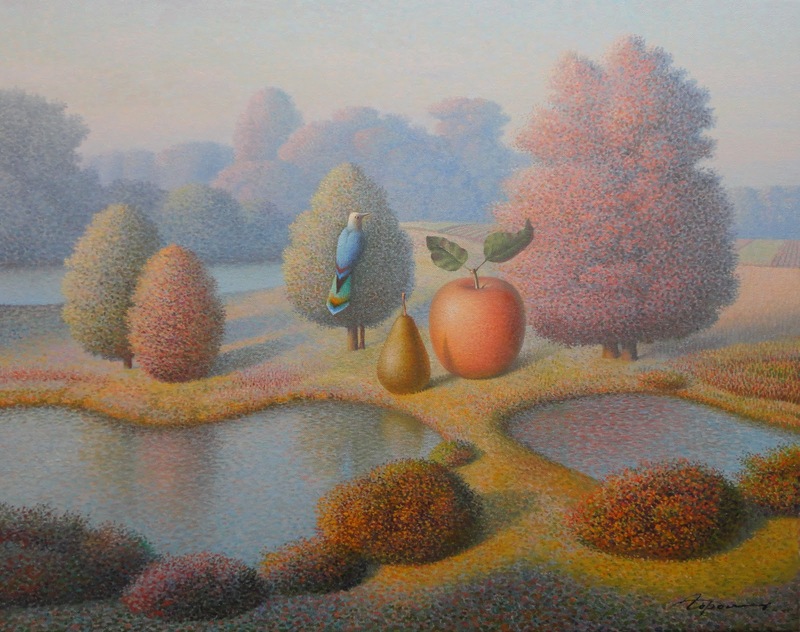 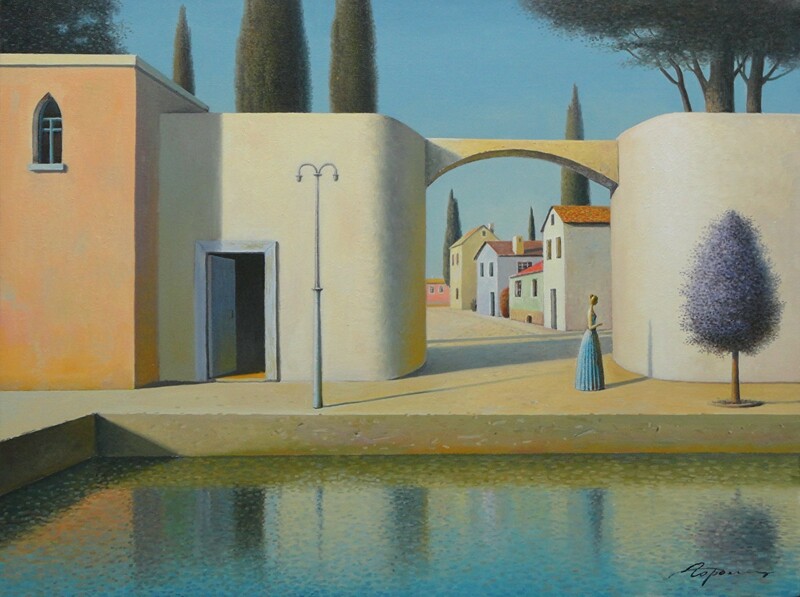 Gordiets' paintings are filled with a profound sense of calm and peace, conveying a longing for eternity and a place of stillness away from out hectic culture. 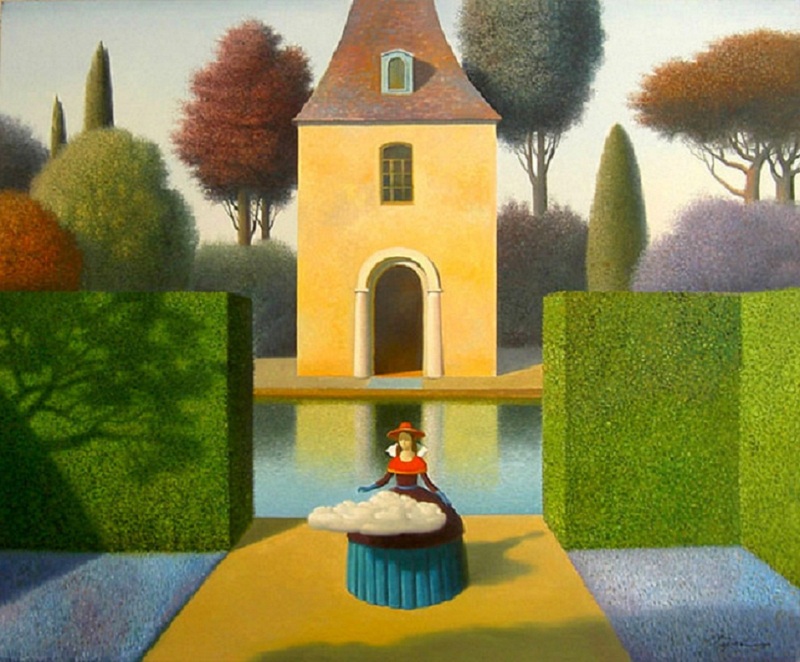 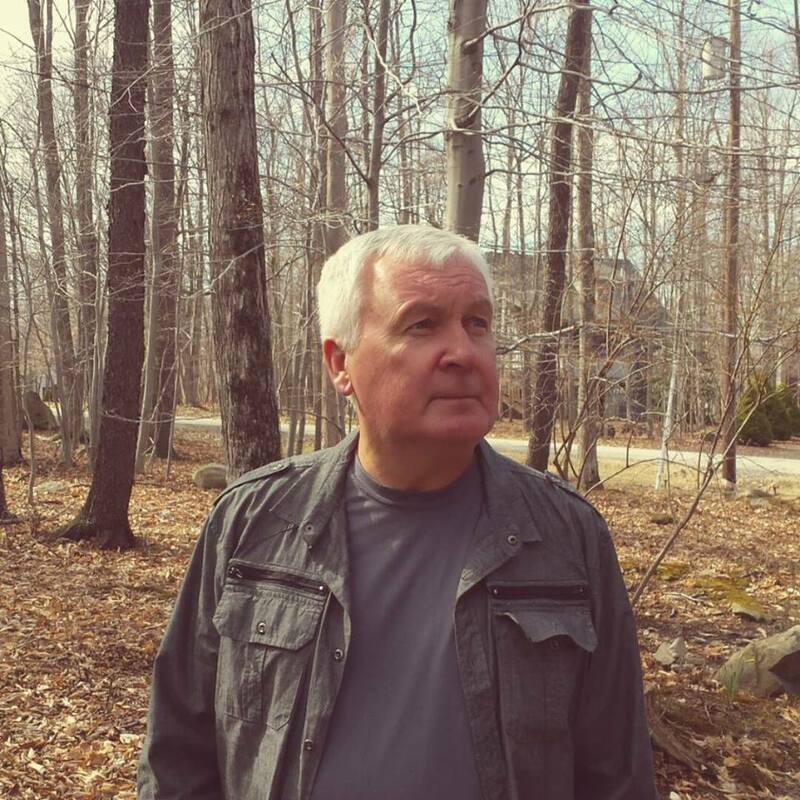 He creates a serene dream-like atmosphere where quietly magical things happen. 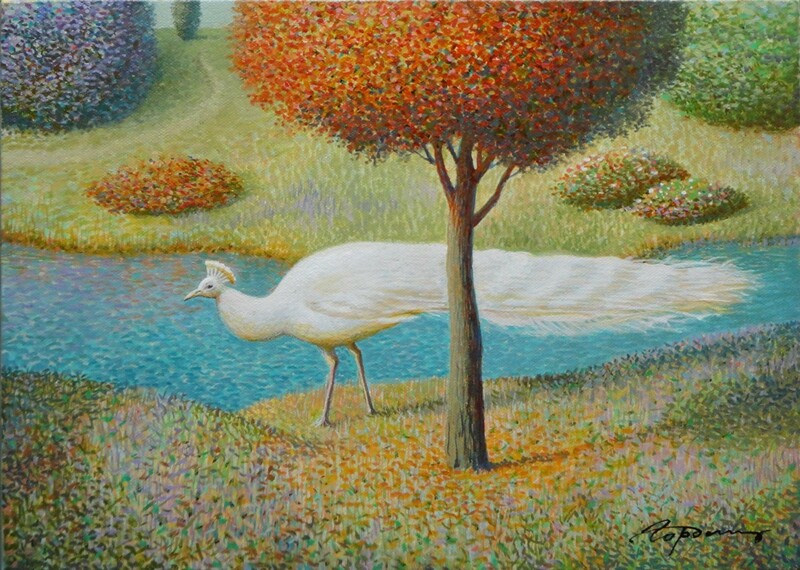 Today, for me, life and painting are one. 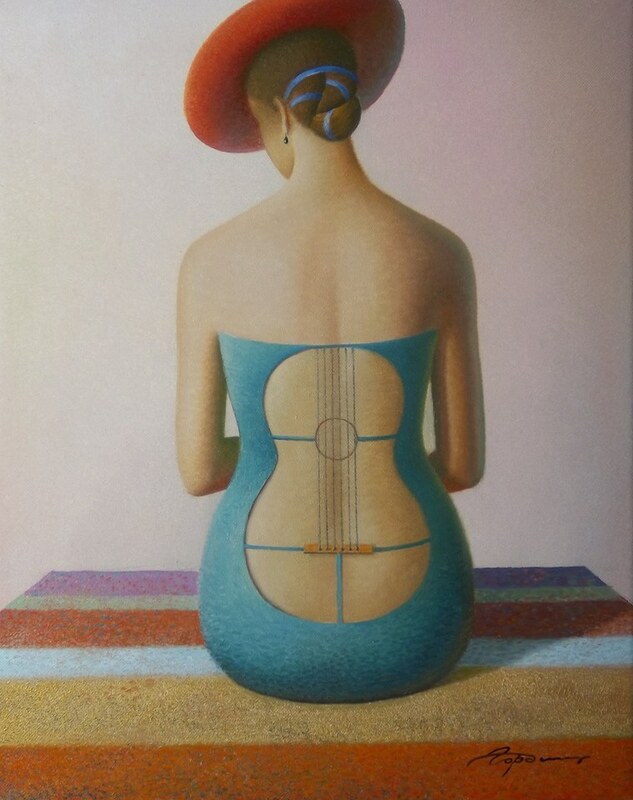 I have no desire to follow fashion; it has no value to me. 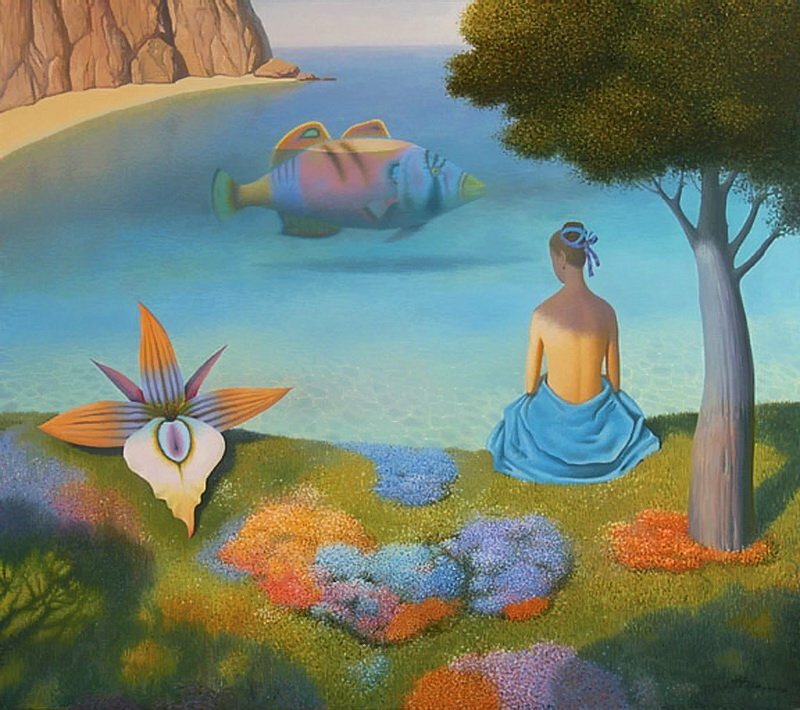 In my art, the sea, the sky, woman and child are subjects of importance, eternity. 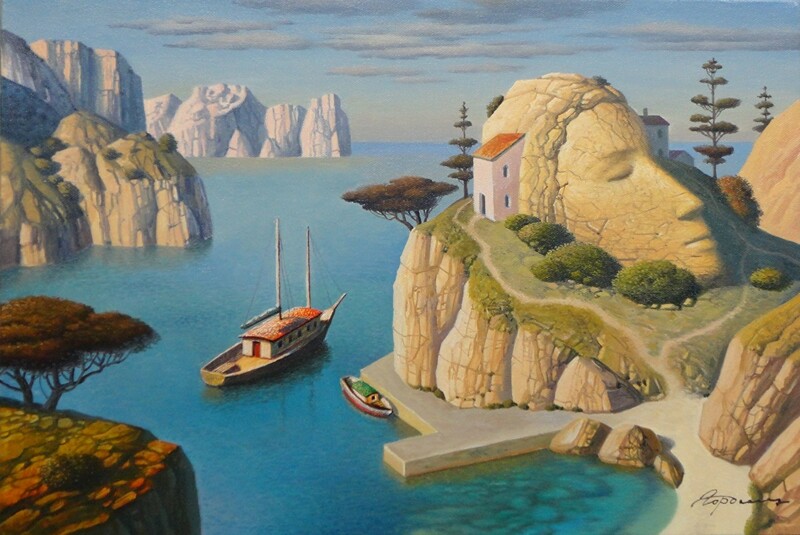 I have no passion for politics. 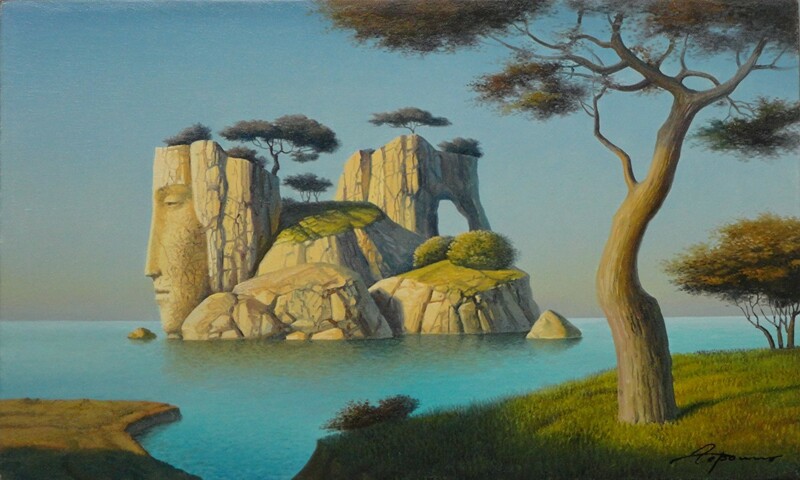 I often use in my work, stone carved forms and water - these are symbols of eternity. 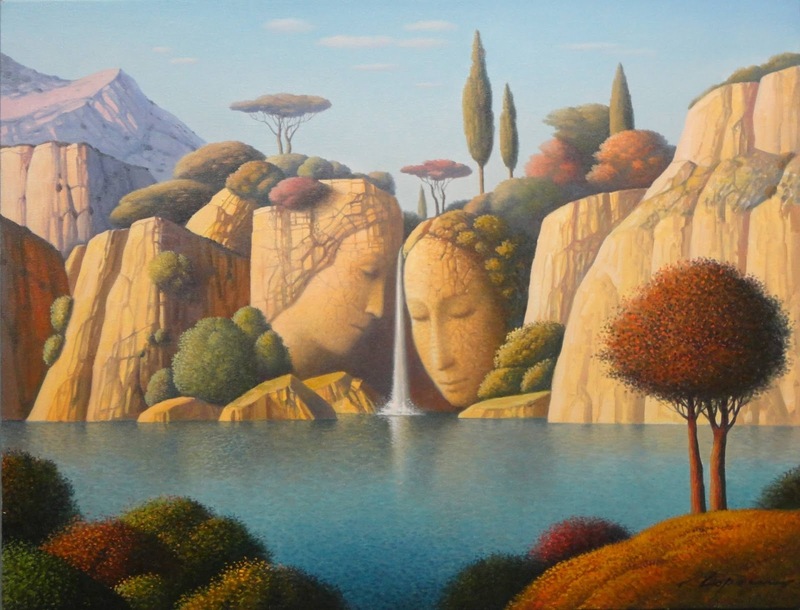 I love sculpture, and I try to unite it with painting. 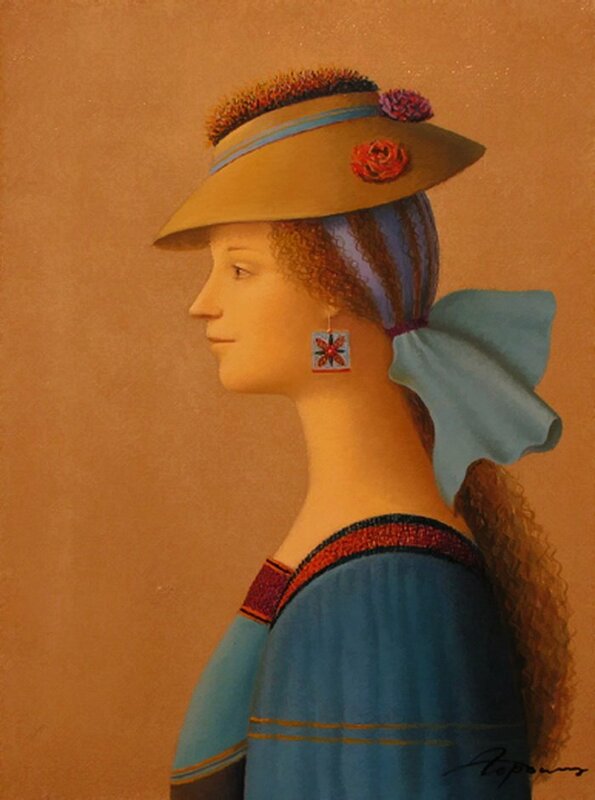 Women, the symbol of love, mother-hood and eternity, have great importance in my art. 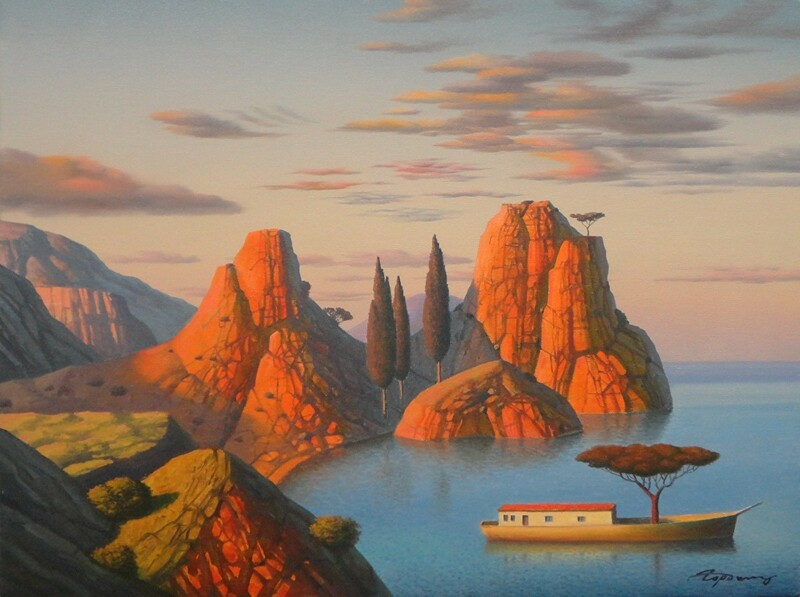 In life, there are some things that last forever; in my work, I communicate this with the sky, water and stones. 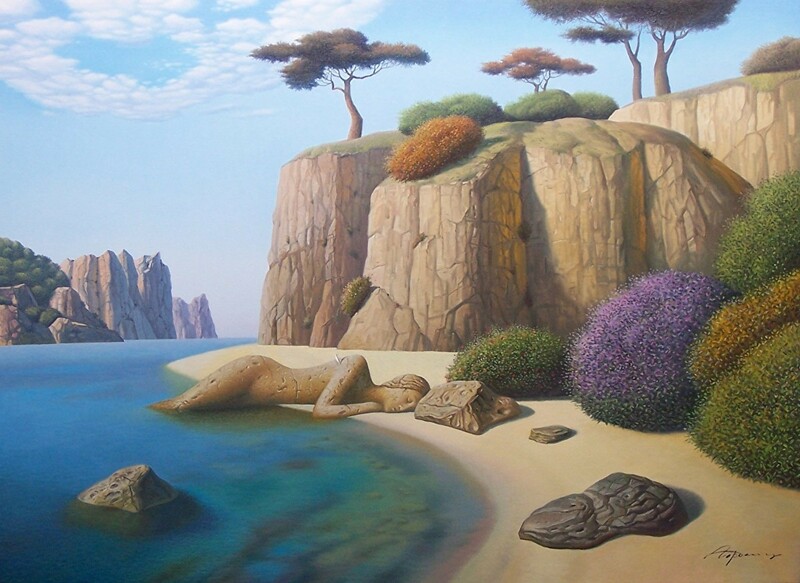 In nature, I find a never-ending source of inspiration. 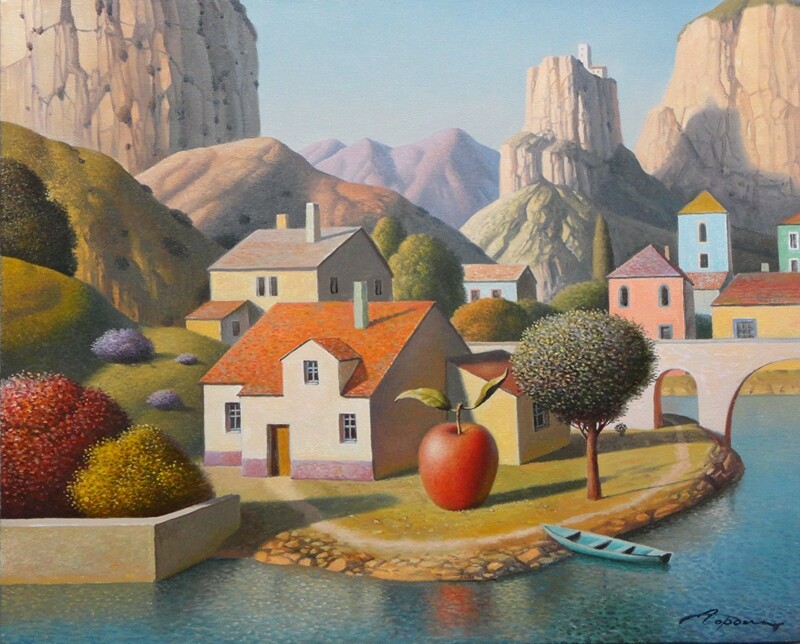 Евгений Гордиец è un artista surrealista Russo, ha frequentato la Scuola Nazionale di Belle Arti, conseguendo il Master ed il dottorato a Kiev, Ucraina. 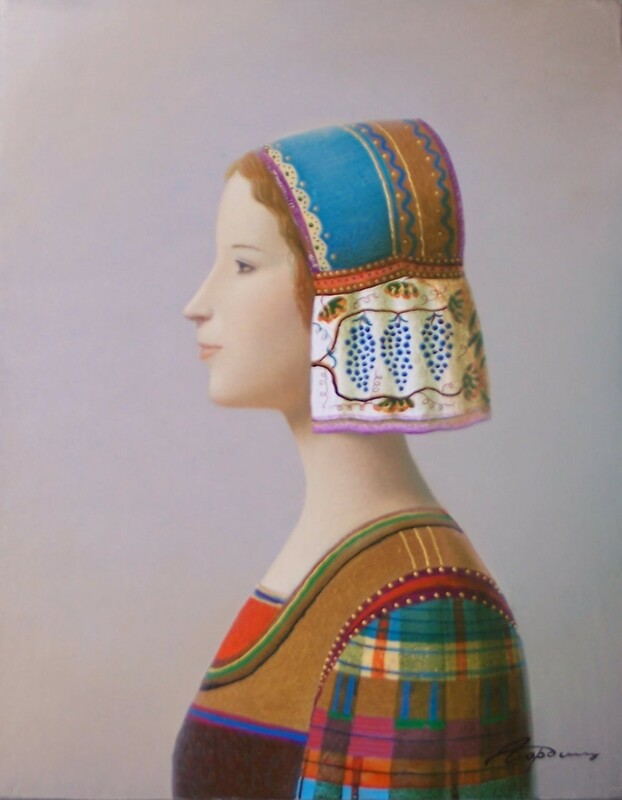 Ha insegnato Arte all'Università Nazionale d'Arte dell'Ucraina. 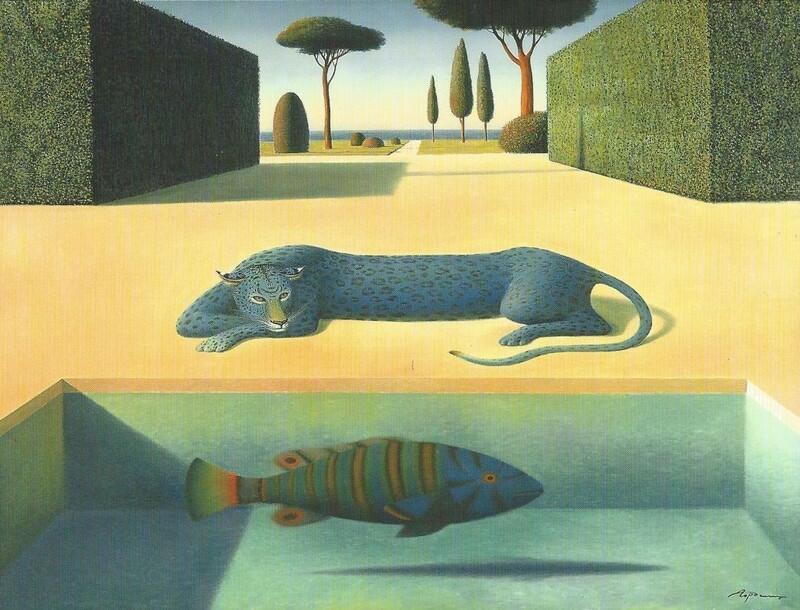 Le sue tele hanno ottenuto molti premi e riconoscimenti e vengono esposte in musei e collezioni private di tutto il mondo. 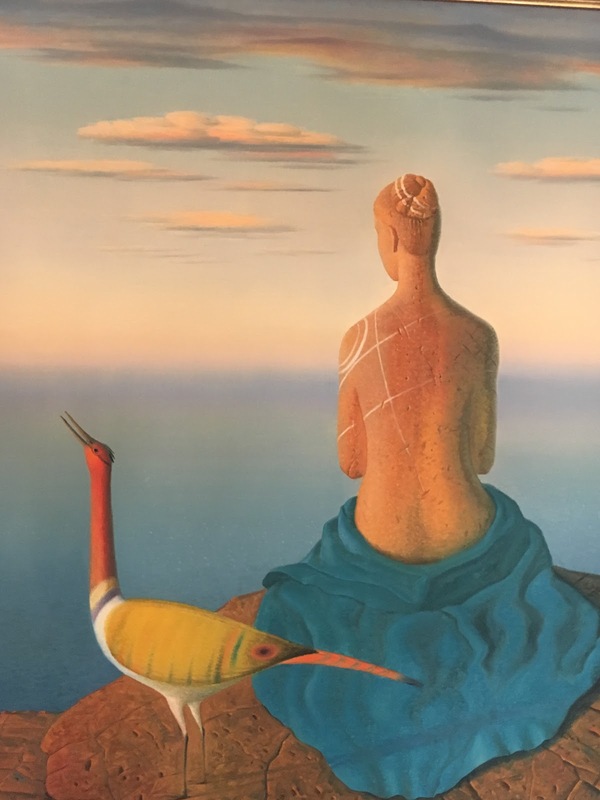 Per l'artista la vita e la pittura sono una sola cosa. 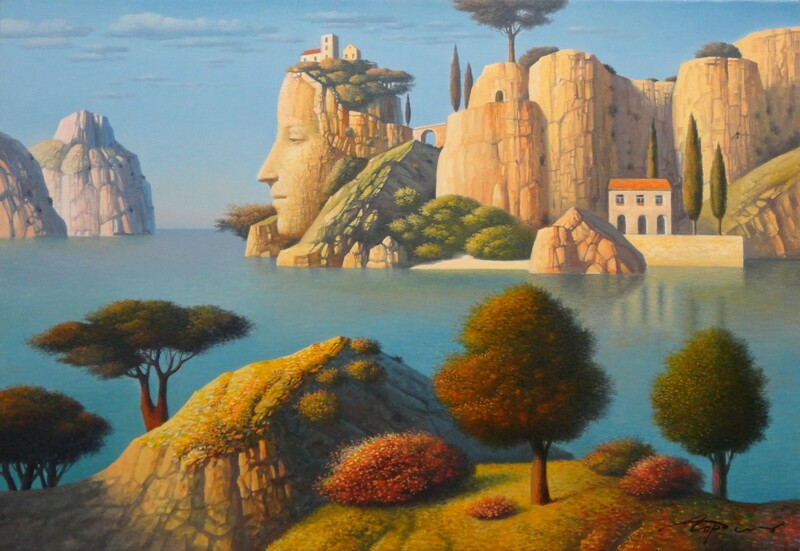 Il senso di eternità viene espresso dall'artista attraverso il cielo, l'acqua e le pietre che insieme alle donne sono il soggetto dei suoi dipinti, che comunicano un'atmosfera serena e sognante, piena di pace e quiete.